The St. Louis Cardinals minor league system went 3-1 on Wednesday, with Palm Beach crowned co-Florida State League champions. 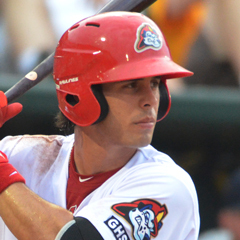 Player of the Day Aledmys Diaz homered twice as both Memphis and Peoria won their playoff openers. Results from games played Wednesday, September 6. Powered by three home runs, the Redbirds defeated the Sky Sox, 4-1, in the first game of their best-of-five playoff series. 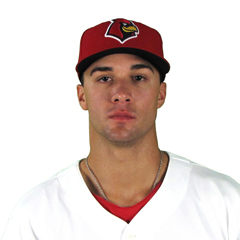 Redbirds second baseman Aledmys Diaz is our Player of the Day after crushing two of the three home runs, including a two-run shot in the fourth. Left fielder Tyler O’Neill hit the other. Aside from the trio of long balls, there is not much to speak of regarding the Memphis offense; the lineup combined for a total of four hits, but they proved to be enough. Starter Dakota Hudson allowed one run over six innings with five strikeouts, earning his first postseason win. Mike Mayers followed with two clean frames before Mark Montgomery secured a save in the top of the ninth. Thursday’s game: Kevin Herget (0-0, 0.00) vs. Colorado Springs Sky Sox, 7:05 PM Central time. With a 3-2 win over the Fort Myers Miracle on Wednesday, the Palm Beach Cardinals became South Division champions and were named co-champions of the Florida State League. Connor Jones was wonderful in his start, allowing one unearned run over six frames on a mere two base hits. Brady Bowen recorded an out in the seventh, before Ramon Santos wrapped up the frame. Derian Gonzalez got into trouble in the eighth, allowing the tying run, but Hector Mendoza pitched a scoreless ninth and ultimately picked up the win. The game was tied, 2-2, and the bases were loaded with one out in the bottom of the ninth for Cardinals right fielder Thomas Spitz. Spitz was hit by a 2-2 pitch to force in the game-winning run for the Cardinals, who were named champions of the FSL for the first time since 2005. Center fielder Blake Drake scored two of the Cardinals’ three runs, while shortstop Jose Martinez and designated hitter Chris Chinea each had a pair of hits. With the impending arrival of Hurricane Irma, remaining postseason games were cancelled. The North Division winners, the Dunedin Blue Jays, were named FSL co-champions. A walk-off single from third baseman Evan Mendoza capped off a 4-3 win for the Chiefs over the River Bandits in the first game of the best-of-three first-round series. Mendoza went 3-for-4 with two runs scored and the game-winning run batted in. Catcher Brian O’Keefe, designated hitter Juan Yepez, and left fielder Matt Fiedler each drove in a run as well. Overall, the Chiefs went 2-for-8 with runners in scoring position, leaving 11 runners on base. Ian Oxnevad turned in a quality start, allowing two runs on three hits over six innings. Bryan Dobzanski yielded a run in the seventh before Austin Sexton’s clean eighth and Yeison Medina’s scoreless ninth. Being the pitcher of record when the Chiefs won it, Medina was credited with the win. Thursday’s game: Austin Warner (0-0, 0.00) at Quad Cities River Bandits, 6:35 PM Central time. Failure to come through with timely hits and a seventh-inning error resulted in a 5-2 home loss on Wednesday for the Spikes against the Crosscutters. The Spikes mustered just two runs from 10 hits, stranding nine runners. Third baseman Yariel Gonzalez went 3-for-4 with a run scored, left fielder Bryce Denton scored and drove in a run, and designated hitter Matt Davis had two hits with a run batted in. Following Jonathon Mulford’s 5 2/3 innings of two-run ball, reliever Alex Fagalde found himself in a sticky situation in the seventh. Two singles and a throwing error — committed by Fagalde — led to two Crosscutters runs to break a 2-2 tie and put Williamsport ahead for good. A base hit later in the inning off Robbie Gordon drove in the fifth run for the Crosscutters. Gordon went on to post a zero in the eighth and ninth frames. Thursday’s game: TBA vs. Williamsport Crosscutters, 6:05 PM Central time. The St. Louis Cardinals minor league system went 3-1 on Monday, but the loss was huge as State College was eliminated from playoff contention. Player of the Day Patrick Wisdom slammed his 31st home run of the season as Memphis finished with 91 regular-season wins. Results from games played Monday, September 4. With a big day from infielder Patrick Wisdom and solid pitching, the Redbirds enjoyed a 5-4 win over the Sky Sox in 10 innings. Memphis finished the regular season with a 91-50 record, including a perfect 11-0 mark in extra innings. Wisdom, our Player of the Day, had two hits in five at-bats, including his system-best 31st home run of the season and three runs batted in. Backstop Gabriel Lino doubled and drove in a run, and third baseman Bruce Caldwell went 2-for-4 with a run driven in and a run scored. The latter two RBI came in the top of 10th inning, with Lino’s the game-winning tally. In his Memphis return, Zac Gallen started and allowed three runs (two earned) in his five-inning outing. Josh Zeid followed with two shutout innings, Andrew Morales turned in a scoreless eighth, and Rowan Wick posted a zero in the ninth. Wick was the pitcher of record when the Redbirds scored in the 10th inning and improved his record to 2-1. Sean Gilmartin allowed a solo home run in the bottom of the 10th, but Josh Lucas protected the win and earned his 17th save of the year. The Redbirds are off Tuesday and will host the Colorado Springs Sky Sox on Wednesday in the first game of the Pacific Coast League playoffs. AutoZone Park in Memphis, Tennessee, will be the venue for the first two games in the best-of-five series; the series will then shift to Colorado Springs, Colorado. On Wednesday, Dakota Hudson will start for the Redbirds at 7:05 PM Central time. Although the Drillers made it very close late, the Cardinals held on for an 8-7 victory in their final game of 2017. Dailyn Martinez took the hill first and allowed two runs in four innings of work. Tyler Bray followed with four scoreless frames of relief to earn his eighth win of the season in as many decisions. Landon Beck ran in to big trouble in the bottom of the ninth, as the Drillers put up a five spot, fueled by two home runs, though only one run was earned. The Cardinals had produced just enough offense, however, to withstand the late Tulsa comeback. Right fielder Magneuris Sierra drove in three, and second baseman Eliezer Alvarez and center fielder Oscar Mercado each hit a solo home run. First baseman John Nogowski scored twice, as did catcher Andrew Knizner. Shortstop Tommy Edman enjoyed a 3-for-5 day. The Cardinals finished the 2017 season with a 77-63 record, matching their all-time wins record. The first-half division champion Cardinals were off Monday and will begin their postseason on Tuesday in Fort Myers, Florida, against the second-half winning Miracle (MIN). The Cardinals have not yet announced their starting pitcher. The Cougars put up four runs over the eighth and ninth innings to tie the score, but the Chiefs ultimately came back to win the contest, 11-9, in 11 innings. Starter Ronnie Williams allowed four runs in 1 2/3 innings. Six pitchers later, outfielder Matt Fiedler took the mound in the 10th and tossed two scoreless innings to earn his first win. Designated hitter Stefan Trosclair had three RBI, including two on his 15th long ball of the season. Shortstop Kramer Robertson had four hits and scored three runs, and third baseman Evan Mendoza had four hits and scored twice. Robertson, Mendoza, second baseman J.R. Davis, right fielder Mick Fennell, and first baseman Juan Yepez each drove in a run. The Chiefs will begin their postseason on Wednesday, as they host the Quad Cities River Bandits in the first of the best-of-three series at Dozier Park in Peoria, Illinois. The final two games (if needed) will be played in Quad Cities, Iowa. 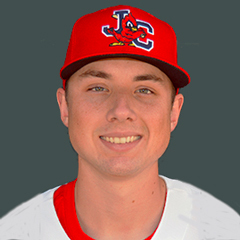 Lefty Ian Oxnevad will start Game 1 for the Chiefs. With three State College errors assisting the Doubledays, the Spikes fell to Auburn on Monday by a 4-1 final score. The loss extinguished the Spikes’ playoff chances and their hopes to repeat as New York-Penn League champions. Spikes starter Andrew Summerville went 4 2/3 innings, allowing two runs – one earned. The tough loss was his first in five decisions this season. Shortstop Wood Myers drove in the only run of the day for the Spikes with a groundout in the bottom of the sixth inning. The Spikes had eight hits but could only muster the one run as the team stranded five runners on base. Zach Kirtley and Matt Davis combined to turn the first triple play in State College Spikes history in the sixth inning. Tuesday’s game: Johan Oviedo (2-2, 4.25) vs. Auburn Doubledays, 6:05 PM Central time. Results from games played Wednesday, August 30. With timely hitting and dependable pitching, the Redbirds enjoyed a 5-4 win over the Cubs on Wednesday to improve to 89-48 on the season. Third baseman Patrick Wisdom’s system-best 30th home run of the season — a two-out, two-run shot in the fifth — proved to be the difference. Second baseman Aledmys Diaz, left fielder Jordan Schafer, and catcher Gabriel Lino drove in a run apiece. Redbirds starter Dakota Hudson picked up his first Triple-A victory, as he held the Cubs to three runs over 5 2/3 frames. Reliever Andrew Morales allowed a solo home run to wrap up the sixth before Mike Mayers followed with two scoreless innings and Sean Gilmartin earned his first save. Thursday’s game: TBA vs. Iowa Cubs, 7:05 PM Central time. Springfield’s bats couldn’t take advantage of Zac Gallen’s quality start and fell to the Travelers, 3-0, on Wednesday. The Cardinals mustered a mere three base hits, two off the bat of center fielder Oscar Mercado. With no walks, hit by pitches, or errors committed by the Travelers, the Cardinals did not record an at-bat with a runner in scoring position. Gallen suffered his fifth loss of the season, despite logging six innings of three-run ball. Following Gallen out of Springfield’s bullpen was reliever Rowan Wick with two scoreless frames, and newcomer Eric Carter put up a zero in the ninth. Thursday’s game: Austin Gomber (10-7, 3.42) vs. Arkansas Travelers, 7:10 PM Central time. With a strong start from Ramon Santos, the Cardinals were 4-1 winners over the Tortugas on Wednesday. Santos, our Player of the Day, is now 5-3 on the year. Santos allowed one run on four hits in his seven-inning outing. 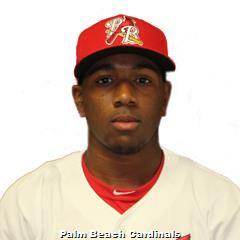 With the start, Santos lowered his earned run average to 2.81 in 64 innings with the Beach Birds. Palm Beach’s big inning was the fifth. Third baseman Leobaldo Pina, second baseman Edmundo Sosa, and catcher Brian O’Keefe each had an RBI hit in that frame; first baseman Chris Chinea batted in the Cardinals’ fourth run in the sixth. Thursday’s game: Mike O’Reilly (3-1, 3.20) at St. Lucie Mets, 5:30 PM Central time. With three runs in the bottom of the ninth inning, the Chiefs came back to rob the River Bandits of a victory and enjoyed a 4-3, walk-off win of their own on Wednesday. Chiefs right fielder Mick Fennell tied the game in the ninth with a bases-loaded single to score two. After Fennell came through, first baseman Danny Hudzina provided the game-winning knock, as he lined one to left field to drive in Peoria’s fourth tally of the game. Starter Ian Oxnevad allowed two runs over five innings. In relief, Colton Thomson allowed a run in the sixth before Bryan Dobzanski tossed two scoreless frames and Dewin Perez put up a scoreless ninth. Thursday’s game: Evan Kruczynski (3-3, 3.50) vs. Quad Cities River Bandits, 6:30 PM Central time. With single runs in the seventh, eighth, and ninth inning, the Spikes came back to beat the Black Bears by a 3-2 score on Wednesday. Designated hitter J.D. Crowe came through with an RBI single in the seventh, and left fielder Bryce Denton did the same in the eighth. Catcher Joe Gomez broke the 2-2 tie and put State College ahead with a run-scoring double in the top of the ninth. Spikes starter Andrew Summerville turned in six innings, with two runs (one earned) allowed on four hits and three walks. Summerville did not factor in the final decision. Instead, it was Alex Faglade who received the win after 2 1/3 scoreless frames in relief. Noel Gonzalez recorded the final two outs for his third save of the season. Thursday’s game: TBA at Mahoning Valley Scrappers, 6:05 PM Central time. Johnson City hit back-to-back home runs in the bottom of the first but failed to add on and fell to the Blue Jays by a 5-2 score. Catcher Julio Rodriguez and designated hitter Luis Bandes hit their fifth and 10th long balls of the season, respectively, in the first inning. The home runs accounted for the only Cardinals runs and two of the team’s five hits. Cardinals starter Zach Prendergast was dominant in his outing, twirling 6 2/3 scoreless innings with nine punchouts. Johnson City’s bullpen couldn’t follow suit, however. Relievers Jake Walsh and Jacob Patterson each surrendered two runs and Fabian Blanco allowed a run, with the Blue Jays scoring all five times between the eighth and ninth innings. With a strong start from Angel Rondon and an offense that worked together, the Cardinals defeated the Astros, 6-0, in the first of two games on Wednesday. Rondon improved to 3-3 on the year with six shutout innings, during which he punched out five. Reliever Kevin Hamann pitched a scoreless seventh inning for the Cardinals to seal the win. Four Cardinals collected two hits, including catcher Stephen Zavala, designated hitter Robbie Coman, shortstop Taylor Bryant, and second baseman Moises Castillo. Zavala, Coman, Bryant, and Castillo each scored a run; Zavala drove in two, and Coman batted in one. After they were shut out in the first game, the Astros turned the tables on the Cardinals for a 3-0 win in the second game of Wednesday’s doubleheader, a make up of the August 10 postponement. The Cardinals’ bats couldn’t get much of anything going in second game, managing only three singles and two walks. The team finished the contest 0-for-3 with runners in scoring position and five left on base. Enrique Perez started and allowed two runs in his 1 1/3 innings, leading to his second loss in three decisions. Gabriel Gentner then came up with 2 2/3 frames of one-run ball to help spare the bullpen. The Cardinals will be off Thursday before hosting the Mets on Friday at 9:00 AM Central time. 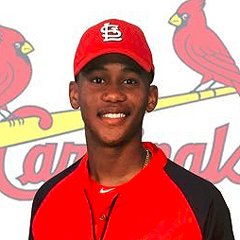 In a 5-2 Monday across the St. Louis Cardinals minor league system, Player of the Day Breyvic Valera delivered a walk-off single for Memphis. Adolis Garcia went deep twice for Springfield. Standout pitchers include Kevin Herget, Pedro Echemendia, Sam Tewes, Anthony Shew and Evan Guillory. Results from games played Monday, August 28. After Iowa tied the score in the top of the ninth, Redbirds left fielder Breyvic Valera came through for the third time in the game to win it for Memphis. Valera, our Player of the Day, legged out his sixth triple of the season and drove in three runs: one in the fifth on the triple, another in the seventh on a sacrifice fly, and the third on a walk-off single in the bottom of the ninth. Catcher Jesse Jenner had two hits and scored as many runs, and right fielder Tyler O’Neill launched his 27th home run of the season. 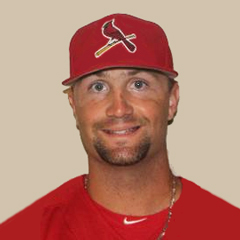 Redbirds starter Kevin Herget was solid in his outing, although he did not factor in the final decision. Herget fanned eight batters and allowed one run over 5 1/3 innings before Memphis’ bullpen took over. Franklin Morales allowed a run in the seventh, Miguel Socolovich recorded two scoreless outs, and Mike Mayers posted a zero in the eighth inning. Reliever Mark Montgomery allowed the Cubs to knot the game at 3-3 in the ninth, but he ultimately finished the game with his fifth win against just one loss. Tuesday’s game: Matt Pearce (3-3, 6.00) vs. Iowa Cubs, 6:35 PM Central time. Just about everything that could go right did for the Cardinals in their Monday battle for first place – an 8-0 shutout win over the Drillers. The Cardinals enjoyed eight runs, including five in the opening inning. Right fielder Adolis Garcia hit two long balls, driving in three. Backstop Andrew Knizner doubled twice with a run batted in, and first baseman John Nogowski plated a pair. The Cardinals went 4-for-5 with runners in scoring position, and five runs scored with two outs. Springfield starter Pedro Echemendia logged six scoreless innings, allowing just four base hits. Corey Littrell, Sandy Alcantara, and Landon Beck followed with a scoreless inning each to seal the win. The Cardinals have reclaimed sole possession of first place in the Texas League North Division second half standings, one game ahead of the Drillers. Tuesday’s game: TBA vs. Arkansas Travelers, 6:30 PM Central time. With timely hitting throughout the batting order and quality pitching, Palm Beach defeated the Tortugas by an 8-3 final score. Catcher Jose Godoy led the way offensively, going 3-for-4, including a double and four runs batted in. First baseman Chris Chinea had three hits to plate a pair, while shortstop Jose Martinez and right fielder Thomas Spitz each scored twice. The Cardinals combined to go 8-for-18 at the plate with runners in scoring position. Sam Tewes was superb in his start, with six innings of one-run ball to complement 11 strikeouts. Derian Gonzalez allowed two runs in the seventh before Hector Mendoza and Ross Vance logged a scoreless eighth and ninth respectively. Tuesday’s game: TBA vs. Daytona Tortugas, 5:30 PM Central time. With timely hitting from third baseman Danny Hudzina and excellent pitching from Anthony Shew, the Chiefs squeaked by the Cougars for a 2-1 win. Shew was masterful, holding the Cougars to one unearned run over eight dominant frames, during which he punched out seven batters to improve to 4-0 as a Chief. Max Almonte posted a zero in the ninth for his second save. Hudzina drove in both runs, on a fourth inning single and a ground out in the sixth. Shortstop Kramer Robertson went 2-for-3 with the club’s only double, and right fielder Dylan Carlson tallied two base hits. The team went just 1-for-7 with runners in scoring position. Peoria cut its magic number to clinch the Western Division wild-card spot to three over Beloit, and two over Wisconsin and Clinton. The Chiefs are off Tuesday and will pick back up on Wednesday when they host the Quad Cities River Bandits. Behind a big performance from the lower third of the batting order, the Spikes were 10-6 winners over the Black Bears. The Spikes seven-, eight-, and nine-hole hitters – second baseman Zach Kirtley, designated hitter J.D. Crowe, and right fielder Brandon Benson (4-for-4, 2 runs, 3 RBI) – combined to go 8-for-11 with two walks, two doubles, six runs scored, and six driven in. The rest of the lineup: a 6-for-27 (.222) performance with four runs scored and two batted in. Starter Daniel Castano earned his eighth win of the year despite five runs allowed over six innings. Levi MaVorhis followed with a scoreless seventh, Jason Zgardowski allowed a run in the eighth, and Noel Gonzalez wrapped it up with a clean ninth. Tuesday’s game: Paul Balestrieri (3-3, 6.40) at West Virginia Black Bears, 6:05 PM Central time. With seven unanswered runs from the seventh inning on, the Rays came back to stun the Cardinals with an 8-7 win. Starter Evan Guillory turned in 6 2/3 innings of three-run ball, but the bullpen did not deliver. The Rays scored three runs against Juan Alvarez, one vs. Thomas St. Clair, and the game-winning run against Jacob Patterson. Patterson was charged with his third blown save and second loss of the year. First baseman Luis Bandes and designated hitter Stanley Espinal each hit a two-run homer as part of Johnson City’s five-run fifth inning. Catcher Julio Rodriguez was credited with the other run batted in. Right fielder Jonathan Rivera and center fielder Carlos Talavera were the only starters in the Cardinals’ lineup to not score a run. Johnson City fell into a tie with Greeneville for the final playoff spot in the Appalachian League Western Division. The Cardinals do not hold the tiebreaker. Tuesday’s game: Alvaro Seijas (4-2, 4.87) vs. Bluefield Blue Jays, 6:00 PM Central time. With the help of sloppy Cardinals defense, the Nationals pounded Cardinals pitching for an 11-1 win on Monday. It is the Gulf Cards’ eighth consecutive loss. The Cardinals committed six errors, including two each by third baseman Elehuris Montero and shortstop Luis Flores. The subpar play led to nine runs scored in five innings against starter Junior Gonzalez, with only four earned. Gonzalez took the loss and dropped to 2-2 this season. There wasn’t much action from the Cardinals’ offense. Second baseman Michael Brdar had two of the team’s four hits, including an RBI double in the third inning to drive in right fielder Sanel Rosendo. Tuesday’s games: two at/vs. GCL Marlins, 9:00 AM Central time. 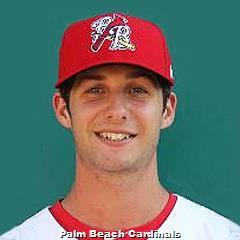 In a 3-4 Wednesday across the St. Louis Cardinals minor league system, our Player of the Day Sam Tewes pitched Palm Beach to a win over Jupiter. Other mound standouts include Peoria’s Anthony Shew and Jose Moreno from the Dominican Summer League. Results from games played Wednesday, August 23. The Redbirds were off Wednesday and will begin a stretch of eight games against the Iowa Cubs on Thursday. 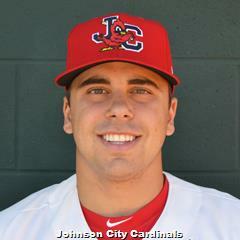 Matt Pearce (3-2, 5.84) will take the mound for the Redbirds as they travel to Iowa for a 7:08 PM Central time start. The Naturals cruised to a 5-1 home win over the Cardinals as Springfield fell into a first-place tie. In the first, a walk, hit by pitch, sacrifice bunt, and a sacrifice fly off the bat of right fielder Adolis Garcia resulted in Springfield’s lone run. 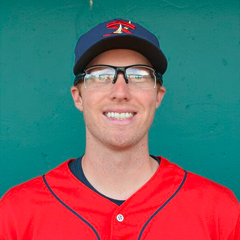 From there, Naturals starter Jacob Staumont took over, walking four but allowing no base hits over his seven frames. Springfield spot starter Pedro Echemendia gave up three runs over 3 2/3 innings, leading to his fourth loss in five decisions. Jacob Evans recorded four outs without allowing a run before Andrew Morales yielded two in the sixth. Sandy Alcantara turned in two scoreless innings to finish the night for the Cardinals. Thursday’s game: Chris Ellis (5-7, 4.25) at Northwest Arkansas Naturals, 7:05 PM Central time. Behind seven dominant innings from Sam Tewes, the Cardinals enjoyed a 4-2 victory over the Hammerheads. Tewes, our Player of the Day, held the Hammerheads to one run on six hits, no walks and four strikeouts, which led to his second win with Palm Beach. Hector Mendoza allowed a run out of the bullpen, but Brady Bowen and Eric Carter (fourth save) combined to hold Jupiter off the scoreboard while recording the final six outs. Cardinals right fielder Thomas Spitz led the way offensively with a double and two runs batted in. Shortstop Jose Martinez went 2-for-4 with two runs scored, and every player in Palm Beach’s lineup recorded a hit except left fielder Vince Jackson. Thursday’s game: Jake Woodford (7-6, 3.14) at Jupiter Hammerheads, 5:30 PM Central time. A strong night on the mound all around enabled the Chiefs’ two runs to stand up in a road win over the Timber Rattlers. Peoria shortstop Kramer Robertson and catcher Brian O’Keefe each drove in a run in the third inning. Although their two runs were enough, it’s tough to ignore that the club went just 1-for-10 with runners in scoring position, stranding eight runners. 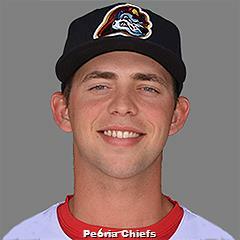 Chiefs starter Anthony Shew twirled six scoreless innings on five hits and two walks, whiffing five batters on route to his third win with Peoria. Leland Tilley followed with two clean innings, and Yeison Medina shut the door in the ninth for his eighth save. Thursday’s game: Ian Oxnevad (3-10, 4.28) at Wisconsin Timber Rattlers, 7:05 PM Central time. The Black Bears jumped on Spikes starter Daniel Castano early and held on for a 6-4 win at State College. Castano, now 7-3 as a Spike, was tagged for four runs in the top of the first inning and finished the night with five runs (three earned due to shortstop Wood Myers’ fielding error) allowed across six frames. The Spikes chipped away, but could not overcome the Black Bears’ early pad. Spikes backstop Dennis Ortega went 2-for-4 with a pair of doubles, a run scored, and a run batted in. Third baseman Edwin Figuera had two hits and drove in one, and designated hitter Ricardo Bautista doubled in a run. Thursday’s game: Paul Balestrieri (3-3, 6.37) vs. West Virginia Black Bears, 6:05 PM Central time. The Cardinals put up a run in the first inning but failed to add on as they fell to the Astros on Wednesday by a 4-1 final score. After leading off the first with a double, second baseman Irving Lopez came around to score on an error. That was it, as the Cardinals mustered just five total hits and struck out 14 times, stranding six baserunners. Alvaro Seijas was acceptable in his start, although he came up on the short end, falling to 4-2 on the year. Seijas went 6 2/3 innings, surrendering four runs on six base hits and striking out seven Astros. Will Changarotty logged 2 1/3 scoreless innings to keep the Cards within striking distance. The Cardinals set a new season high for attendance, breaking last year’s prior franchise-record of 53,444. Current pace has Johnson City headed toward 63,700. Thursday’s game: Zach Prendergast (3-0, 3.79) vs. Greeneville Astros, 6:00 PM Central time. The Cardinals came close, but could not fully match the Nationals in the run column and fell on Wednesday, dropping five games behind in the standings. Starter Winston Nicacio was knocked around by the Nationals, to the tune of four runs (three earned) on 11 hits in five innings. Nicasio dropped to 4-2 on the season. First baseman Taylor Bryant drove in three of the Cardinals’ four runs, and shortstop Edmundo Sosa scored three times. The Cardinals had two hits in seven at-bats with runners in scoring position and left five runners on. The Nationals, though they scored enough for a win, stranded 11 runners on base and went just 3-for-14 with runners in scoring position. Thursday’s game: TBD vs. GCL Marlins, 11:00 AM Central time. Jose Moreno’s pitching and a grand slam from first baseman Freddy De Jesus helped the Cardinals put the Angels away with ease on Wednesday. Moreno picked up his first win in four decisions with six shutout frames, allowing two base hits and one walk while striking out six Angels batters. Cristoffer Zapata allowed two runs in the seventh inning, and Rodard Avelino pitched two scoreless innings to finish. De Jesus hit his grand slam in the ninth inning, putting the game out of reach. Second baseman Pablo Gomez doubled, walked, and scored two runs, and catcher Ivan Herrera went 4-for-5 with a double, a run scored, and a run batted in. The Cardinals and Angels were supposed to play two games on Wednesday but will instead have a doubleheader on Thursday, beginning at 9:30 AM Central time. 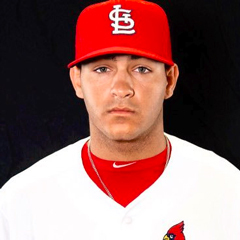 In a 2-4 Wednesday across the St. Louis Cardinals minor league system, our Player of the Day, Jack Flaherty pitched Memphis to yet another win. Springfield continues to pad its division lead. Results from games played Wednesday, August 16. Backed by over seven quality innings from Jack Flaherty and a pair of home runs, the Redbirds defeated the Sounds on Wednesday by a 3-2 final score. Flaherty, our Player of the Day, limited the Sounds to two runs on six hits in 7 1/3 innings, lowering his earned run average to 2.82 in 73 1/3 innings with the Redbirds. Flaherty whiffed seven and improved his Memphis record to 5-2. 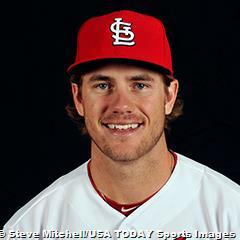 Third baseman Patrick Wisdom and designated hitter Stephen Piscotty provided the offense. Wisdom’s 26th long ball of the year, a two-run shot, came in the second, and Piscotty’s fourth homer in the sixth proved to be the game-winning run for Memphis. First baseman Rangel Ravelo was in on the action as well, going 2-for-4 with a double and scoring on Wisdom’s big fly. Thursday’s game: Luke Weaver (10-2, 2.55) vs. Nashville Sounds, 7:05 PM Central time. The Cardinals put up three unanswered runs from the seventh inning on to defeat the Missions, 6-3 on Wednesday. Starter Ryan Helsley kept the Cardinals in the game through his six innings, as he allowed three runs (two earned) and struck out eight Missions. Through four starts with Springfield, Helsley’s earned run average sits at 1.99 with 28 strikeouts. Cardinals third baseman Darren Seferina had a productive game in the batter’s box, recording base four times with a walk and three hits, including a solo home run in the seventh inning. Seferina drove in two runs. Left fielder Anthony Garcia had two hits, scored a run, and drove in a run, and catcher Jesse Jenner did the same. Shortstop Tommy Edman and right fielder Adolis Garcia drove in a run apiece, and Helsey, center fielder Magneuris Sierra, and second baseman Eliezer Alvarez came around to score one of the club’s half-dozen runs. Thursday’s game: Sandy Alcantara (7-5, 4.41) vs. San Antonio Missions, 7:10 PM Central time. After coming back to tie the game in the ninth, the Cardinals ultimately fell to the Blue Jays, 3-2, in 11 innings. Mike O’Reilly turned in a solid start, allowing two runs on three hits in five innings, with the two runs coming on a home run in the bottom of the first. Ross Vance logged two scoreless innings of relief before Ian McKinney posted zeroes across the next three frames. The Blue Jays got to Hector Mendoza in the 11th for the game-winning run, causing Mendoza’s record to fall to 0-6. Palm Beach second baseman Andy Young’s fifth home run of the season tied the game at two in the ninth inning. Catcher Jeremy Martinez went 1-for-4 with an RBI double in the seventh, scoring center fielder Shane Billings. The Cardinals combined to go just 1-for-9 with runners in scoring position, leaving eight runners on. Thursday’s game: Sam Tewes (0-1, 3.00) at Dunedin Blue Jays, 5:30 PM Central time. Despite scoring six unanswered runs, the Chiefs fell in Quad Cities on Wednesday, 9-8. The River Bandits did all of their damage early, scoring nine runs – all earned – off Chiefs starter Frederis Parra in 2 2/3 innings. Parra allowed six hits and three walks and finished his day with a game score of -1. Considering the havoc wreaked on Parra, the Chiefs’ relief staff did a masterful job. Ronnie Williams led the way with 2 2/3 scoreless, followed by Colton Thomson’s 1 2/3 frames and Leland Tilley’s zero put up in the eighth. With eight runs of their own, the Chiefs had a solid night at the plate. Left fielder Dylan Carlson had two hits in four at-bats, including a two-run home run, his seventh of 2017. Designated hitter Matt Fielder scored two runs and drove in as many, and right fielder Mick Fennell went 2-for-5 with a double and three runs batted in. Peoria went 4-for-10 with runners in scoring position. The Black Bears put up four runs on Spikes’ starter Johan Oviedo in his seven-inning outing and defeated State College, 5-1. Oviedo took the loss, evening his record to 1-1 as a member of the Spikes. The Black Bears scored two of their four runs against Oviedo on solo home runs, one in the fifth and one as part of their three-run seventh. It was a quiet night for the Spikes offense, as right fielder Brandon Benson drove in the only run on a fifth-inning sacrifice fly. Benson had one hit in three at-bats, recording his seventh double of the season as State College’s lone extra-base hit. Designated hitter Caleb Lopes reached twice on base hits and scored on Benson’s sacrifice fly. The Spikes went 1-for-5 with runners in scoring position, stranding six runners. Thursday’s game: Jonathon Mulford (2-4, 4.70) at West Virginia Black Bears, 6:05 PM Central time. The Johnson City Cardinals were off Wednesday and will resume play on Thursday on the road against the Bluefield Blue Jays. Alvaro Seijas (4-1, 5.24) will toe the rubber for the Cardinals at 6:05 PM Central time. The GCL Cardinals were off Wednesday and will pick back up Thursday, as they travel to Port St. Lucie to take on the Mets at 11:00 AM Central time. The Mets1 put up four runs in the fifth inning to knock off the Cardinals on Wednesday, 4-3. 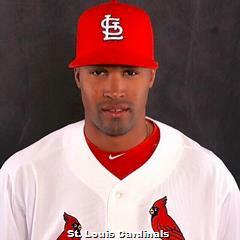 Cardinals starter Wilfredo Pereira twirled four scoreless innings and was followed out of the bullpen by Roy Garcia. The Mets jumped on Garcia for four runs in the fifth, taking advantage of two walks. The Cardinals’ bats couldn’t rebound, and Garcia suffered his fourth loss in five decisions. Right fielder Luis Montano hit a solo home run, his second long ball of the season. Catcher Ivan Herrera went 2-for-4 with a run batted in, and center fielder Carlos Soler walked, tripled, and scored a run in five trips to the plate. Thursday’s game: TBA vs. DSL Mets1, 9:30 AM Central time. 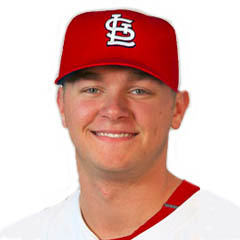 In a 4-3 Monday across the St. Louis Cardinals minor league system, our Player of the Day, outfielder Tyler O’Neill, put Memphis ahead early with a two-run home run. Results from games played Monday, August 14. Fueled by a dependable night from the pitching staff and just enough run support, the division champion Redbirds improved to 40 games over .500 (81-41) with a 3-1 victory over the Sounds. Starter John Gant evened his record at 5-5 with a win, lasting 5 2/3 innings with one run and seven punchouts. Kevin Herget followed with 1 2/3 scoreless innings before Miguel Socolovich was perfect during his five-out save. Right fielder Tyler O’Neill, our Player of the Day, launched his 25th home run of the year in the top of the first inning, a two-run shot that proved to be all Memphis would need. Left fielder Nick Martini added on with a two-out, RBI single in the fifth. Second baseman Breyvic Valera and catcher Gabriel Lino each scored a run, while center fielder Harrison Bader wore the collar with three strikeouts in four at-bats. Tuesday’s game: Dakota Hudson (0-0, 4.86) vs. Nashville Sounds, 6:35 PM Central time. The Cardinals were off Monday and will pick back up on Tuesday as they host the San Antonio Missions. Austin Gomber (7-7, 3.76) will start in the 6:30 PM Central time game. The Cardinals could not overcome four early Blue Jays runs and fell in Monday’s contest, 6-3. Starter Ramon Santos allowed zero earned runs across his five-inning start. The problem is that the Blue Jays scored six unearned runs with Santos on the mound, including four in the third inning, with the help of two errors, a passed ball, a wild pitch, and a balk. The throwing miscues were by Jose Martinez and Leobaldo Pina, with the passed ball by Jeremy Martinez. Jordan Hicks added three scoreless innings out of the bullpen. Center fielder Blake Drake had a hit and scored two of the team’s three runs. Third baseman Leobaldo Pina went 2-for-3 with a run scored and a run driven in, and second baseman Luke Dykstra singled in a run. The Cardinals went 2-for-6 with runners in scoring position and left eight runners on base. Tuesday’s game: Connor Jones (7-5, 3.91) at Dunedin Blue Jays, 5:30 PM Central time. The River Bandits put up three unanswered runs in the fourth and sixth innings to break a tie and defeat the Chiefs on Monday, 4-1. Chiefs starter Ian Oxnevad lasted just four innings, allowing three runs (two earned) as he suffered his 10th loss in 13 decisions this year. Bryan Dobzanski and Dewin Perez combined to allow one run on two hits over the final four innings, but the dependable relief ultimately went to waste. Peoria’s bats failed to provide Oxnevad with much run support, manufacturing just two hits in 10 at-bats with runners in scoring position and stranding nine runners on base. Shortstop Kramer Robertson had two of the team’s six hits (all singles) and drove in Peoria’s only run. Left fielder J.R. Davis had three hits, while center fielder Dylan Carlson went 1-for-3 with a walk and run scored. Tuesday’s game: Evan Kruczynski (2-3, 4.40) at Quad Cities River Bandits, 6:35 PM Central time. With the New York-Penn League All-Star Game on Tuesday, the Spikes will not play a regular-season game until Wednesday. The Spikes will have five representatives in the game, including catcher Joshua Lopez, infielder Yariel Gonzalez, outfielder Scott Hurst, and pitchers Daniel Castano and Andrew Summerville, as well as the entire coaching staff. The Twins made hay of shaky Cardinals pitching and defense, cruising to an 8-5 win over Johnson City on Monday night. Cardinals starter Evan Guillory was pulled after giving up a run over two innings. Edwar Ramirez followed and allowed five runs (one earned) over the next 1 2/3 innings. A dropped foul pop by shortstop Stanley Espinal and a wild pitch by Ramirez led to the unearned tallies. Ramirez took the loss, his sixth in eight decisions this year. Guillory, Ramirez, Jake Dahlberg (2 1/3 innings), and Juan Alvarez (3 innings) combined to walk eight Twins. The Twins stranded 11 runners on base, but their eight runs were enough. Cardinals designated hitter Brady Whalen finished a home run shy of the cycle, going 3-for-4 with a double, a triple, and two runs scored. Center fielder Wadye Ynfante had two hits, including a double and a run batted in before leaving the contest due to injury, and shortstop Irving Lopez scored twice. With a solid start from Noel De Jesus and a four-run sixth, the Cardinals topped the Marlins on Monday by a 5-4 final score. De Jesus allowed one run over six quality innings, whiffing seven and walking one in what became his second win of the year. Jim Voyles allowed a run in his two innings of work, and Wilberto Rivero surrendered two more in the top of the ninth before Patrick Dayton recorded the final out for his second save. Cardinals center fielder Jonatan Machado helped lead the way offensively, going 1-for-3 with a walk, stolen base, run, and run batted in. Third baseman Elehuris Montero doubled and scored a run, and catcher Cameron Knight did the same. Tuesday’s doubleheader: TBA vs. GCL Astros, 9:00 AM Central time. The Cardinals turned back a late Yankees rally to take the first game of Monday’s seven-inning doubleheader, 8-5. Starter Enmanuel Solano improved to 4-1 on the year, recording five innings of three-run (all unearned) ball with seven strikeouts. Jose Geronimo and Wilman Madera each allowed a run in their one-inning assignments, but the Cardinals’ offense outweighed the runs allowed. Shortstop Raffy Ozuna went 2-for-4 with a pair of doubles, his 11th and 12th of the season, driving in three runs. Designated hitter Franklin Soto doubled, walked, and scored three times, and first baseman Freddy De Jesus had one hit in four plate appearances, scoring a run and plating a run. In a sloppy, hitter-friendly contest, the Cardinals finished on top of the Yankees, 10-9, to complete the doubleheader sweep. With the help of four Yankees errors, the Cardinals were able to achieve double-digit runs, including nine in the bottom of the fifth inning. Left fielder Alexander Samuel drove in three, while center fielder Carlos Soler and shortstop Franklin Soto each plated a pair. Third baseman Francisco Hernandez was the only player in the starting lineup to not score a run, although he did single. Jose Moreno allowed two runs in his only inning of work as the starter. Hector Soto followed out of the pen with four runs (three earned) in two innings, and Rodard Avelino handled the next couple of frames with one run allowed. Leonard Taveras was credited with the win, his first of year, as he allowed one run in the sixth – but was the pitcher of record when the Cardinals scored nine runs. Jesus Cruz picked up the save, his second. The Cardinals are off Tuesday and will pick back up Wednesday with a 9:30 AM Central time contest with the DSL Mets. 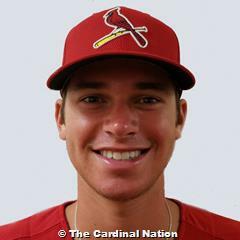 It was a 4-3 Wednesday across the St. Louis Cardinals minor league system. Our Player of the Day, Austin Gomber, tossed seven innings of three-hit, scoreless ball for first-place Springfield. Results from games played Wednesday, August 9. It took 10 innings, but the Redbirds improved to 77-40 with a 3-2 walk-off victory over the Storm Chasers on Wednesday night. Center fielder Harrison Bader went 2-for-5 and drove in the game-winning run with a one-out, bases-loaded single. Second baseman Alex Mejia went 4-for-5 with a double and a run batted in, and right fielder Tyler O’Neill drove in his 75th tally of the season. Left fielder Breyvic Valera’s double and Mejia’s two-baggers were the only extra-base hits of the night for the Redbirds. They left 11 runners on base, but the three runs ended up doing the job. John Gant made a quality start, with two runs and seven punchouts over six innings. Mike Mayers followed with two scoreless innings before Mark Montgomery did the same, as his two frames of zeroes resulted in his fourth win of the year for Memphis. Thursday’s game: Dakota Hudson (0-0, 6.30) vs. Omaha Storm Chasers, 7:05 PM Central time. Behind another superb start from Austin Gomber, the Cardinals knocked off the Missions on Wednesday, 2-0. Gomber, our Player of the Day, twirled seven scoreless innings, allowing just three base hits with five strikeouts. For Gomber, it was third straight start of seven innings and his seventh win of the year, evening his record at 7-7. Tyler Bray and Rowan Wick followed out of Springfield’s bullpen with scoreless outings, with Bray earning his eighth hold and Wick sealing his fifth save. Left fielder Anthony Garcia led the Cardinals in the batter’s box, going 3-for-4 with a double and two RBI in the sixth inning. Center fielder Oscar Mercado failed to record a hit in four at-bats, but he reached on error, stole his 35th base, and scored. First baseman John Nogowski drew a pair of walks and scored on Garcia’s two-run hit. 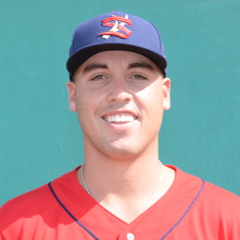 Thursday’s game: Zac Gallen (4-3, 3.38) at San Antonio Missions, 7:05 PM Central time. Fort Myers put up five unanswered runs from the sixth inning on to take down the Cardinals, 3-2, in Jupiter. Connor Jones turned in six quality innings, allowing two runs (one earned) on eight hits. Hector Mendoza followed and allowed three runs in the seventh inning, sticking him with his fifth loss of the year. At the plate, designated hitter Casey Grayson went 3-for-3 and scored a run, and center fielder Blake Drake had two hits in four at-bats, including a double, with a run batted in. Thursday’s game: Mike O’Reilly (2-0, 4.00) at Daytona Beach Tortugas, 6:05 PM Central time. The Peoria Chiefs were off Wednesday and will continue play Thursday at home against the Burlington Bees. Evan Kruczynski (2-2, 4.50) will take the mound at 7:00 PM Central time. With two runs in the top of the ninth, the Renegades snapped a 1-1 tie to take down the Spikes, 3-1. Starter Daniel Castano did not factor in the game’s final decision, yet his pitching performance is deserving of post-game acknowledgement. Castano pitched 7 1/3 innings, allowing one run (unearned) on four hits and one walk. 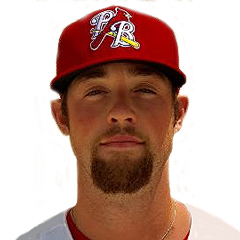 Reliever Will Latcham surrendered the Renegades’ two runs in the ninth, resulting in his first loss as a professional. It was a quiet night on the offensive side, with first baseman Yariel Gonzalez driving in the only Spikes’ run. Scott Hurst went 1-for-3 with a walk and scored. Thursday’s game: Johan Oviedo (1-0, 7.84) vs. Hudson Valley Renegades, 7:05 PM Central time. Scoring the go-ahead run in the eighth inning, the Cardinals defeated the Pirates on Wednesday, 8-7. Center fielder Chase Pinder drove in Johnson City’s game-winning run, as well as two runs earlier on his third home run of the season. Designated hitter Luis Bandes went 2-for-5 with a double and his eighth long ball, plating three. Johnson City starter Edwar Ramirez had a rocky start, allowing five runs (all earned) on seven hits over 3 1/3 innings. Will Changarotty added 3 2/3 frames of one-run ball with six strikeouts, picking up the win. Changarotty is now 3-1 this season. Brett Seeburger closed out the game with two scoreless innings, for his first save. 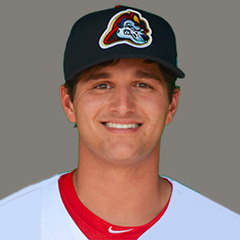 Thursday’s game: Alvaro Seijas (4-1, 5.31) at Bristol Pirates, 6:00 PM Central time. With significant help from the Marlins’ pitching staff, the Cardinals took Wednesday’s contest with ease, 12-3. Nine bases on balls combined with 10 hits resulted in a dozen Cardinals runs. Third baseman Taylor Bryant’s two hits drove in five, and second baseman Luis Flores went 3-for-5 with a double and batted in three. Shortstop Moises Castillo went 0-for-1 but managed to reach base to score four times. 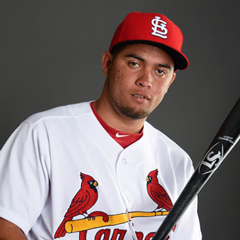 Flores’ double and a two-bagger from designated hitter Andrew Luna were the only extra-base hits for the Cardinals, who went 6-for-18 with runners in scoring position. Memphis rehabber Sean Gilmartin started and went one inning, allowing a run, before Junior Gonzalez took over. Gonzalez improved to 2-1 with six innings of two run-ball. Relievers Wilberto Rivera and Cory Malcom followed with a scoreless inning apiece to close out the win. Thursday’s game: TBA at GCL Astros, 10:00 AM Central time. The Cardinals made it interesting in the later innings, but the Nationals’ lead stood tall for a 9-8 win. Two Cardinals errors helped open the gate for the Nationals to score seven runs between the second and fifth innings, including three runs (one earned) against Cardinals starter Enmanuel Solano, who was pulled after three innings. Allinson Benitez allowed three runs over his 1 2/3 innings, resulting in his third loss in as many decisions. Although their work ultimately came up short, the Cardinals scored eight runs on Wednesday. Shortstop Raffy Ozuna went 2-for-5 with a double, a triple, and three runs batted in. First baseman Freddy De Jesus drove in two, and catcher Ivan Herrera had three hits and scored as many runs. The Cardinals scored three over the eighth and ninth frames, but they couldn’t get the game-tying run in. Thursday’s game: TBA at DSL Nationals, 9:30 AM Central time. 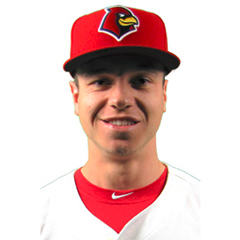 The 4-3 Monday across the St. Louis Cardinals minor league system is highlighted by 11 strikeouts from lefty Austin Warner in Peoria’s win. Results from games played Monday, August 7. The Storm Chasers roughed up Luke Weaver in an 8-4 win over the Redbirds in Memphis’ home stand opener, accounting for Memphis’ third loss this month. Weaver, who took his second loss in nine decisions, was on the hook for seven runs – all earned – on a dozen hits in 5 2/3 innings. Weaver’s earned run average grew to 2.64 from 1.91. The Redbirds’ bats couldn’t overcome the Storm Chasers’ outburst, though they did produce four runs. Designated hitter Patrick Wisdom crushed his 24th long ball of the season in the fourth, and Harrison Bader launched number 20 in the eighth. Shortstop Wilfredo Tovar and Rangel Ravelo each batted in a run as well. Tuesday’s doubleheader: Kevin Herget (3-1, 4.14) vs. Omaha, 6:35 PM Central time – Game One; Matt Pearce (1-1, 5.21) vs. Omaha – Game Two. The Cardinals were off Monday as they traveled to San Antonio to take on the Missions. Chris Ellis (3-6, 3.71) will take the mound in the 7:05 PM Central time game. The Cardinals managed to hold onto the edge created by five early runs to sneak by the Miracle, 5-4. Palm Beach starter Jake Woodford allowed one run over five innings, with the win evening his record at 6-6 this season. Estarlin Arias served up a three-run homer in the sixth inning, but relievers Brady Bowen and Eric Carter held the Miracle quiet across the eighth and ninth. The Cardinals defined ‘keeping the line moving’ with their five-run third inning. Three-through-six-hole hitters – Casey Grayson, Chris Chinea, Leobaldo Pina, and Casey Turgeon – each drove in a run in the crooked-number frame. Pina was the only Cardinal who did not record a hit in the game; his RBI came on a groundout. Tuesday’s game: Ramon Santos (2-2, 4.96) vs. Fort Myers Miracle, 5:30 PM Central time. After heading into the sixth down 1-0, the Chiefs scored three unanswered runs the rest of the way to defeat the LumberKings, 3-1. 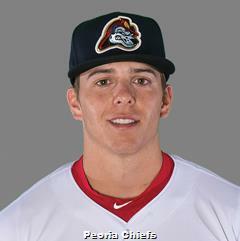 Peoria starter Austin Warner, our Player of the Day, was more than worthy of his second win as a Chief. Warner limited the LumberKings to one run on three hits and whiffed 11 batters in his 7 2/3 innings. With a pitch count of 101, the Chiefs turned to Max Almonte to close out the game, a task he did successfully. While Warner and Almonte put in work on the mound, the bats did their part, too. First baseman Juan Yepez had three hits in four at-bats, driving in two of the Chiefs’ three runs. Catcher Brian O’Keefe went 2-for-5 with a run scored, and second baseman Stefan Trosclair had two base hits and scored as many runs. Tuesday’s game: Anthony Shew (0-0, 4.87) at Clinton LumberKings, 6:30 PM Central time. Fueled by Andrew Summerville’s solid start and timely hitting, the Spikes were 3-2 winners over the Mahoning Valley Scrappers. Summerville, now 3-0, allowed one run and struck out six batters over five innings. Steven Farinaro followed with 2 1/3 innings of one-run ball, and Spencer Trayner recorded the final five outs, resulting in his fifth save. Though the Spikes combined to strike out 10 times, the hitting provided just enough for a victory. State College went 3-for-8 with runners in scoring position, with an RBI each for designated hitter Evan Mendoza, first baseman Tyler Lancaster, catcher Joshua Lopez. Right fielder Bryce Denton went 2-for-3 with a triple and scored a run. Tuesday’s game: Paul Balestrieri (2-1, 4.30) vs. Hudson Valley Renegades, 6:05 PM Central time. Four in the first, nine in the third, and three in the fourth added up to 16 runs for the Cardinals, who enjoyed a rout of the Mets in a rain-shortened game. Third baseman Brady Whalen was one of several notable offensive contributors in Monday’s game for Johnson City. Whalen launched two home runs – his fourth and fifth of the year – and drove in four runs. Center fielder Wadye Ynfante reached in all five trips to the plate, going 4-for-4 with a homer, three runs batted in, and a walk. Second baseman Irving Lopez and catcher Jonathan Rodriguez each drove in two, and first baseman Luis Bandes scored three runs. Franyel Casadilla went 4 2/3 innings in his start, but reliever Juan Alvarez picked up the win. Alvarez allowed one hit and walked two as he pitched through the sixth inning, the final inning of play due to rain. Shortstop Delvin Perez left the game after being hit on the wrist by a pitch in the second inning. Tuesday’s game: Evan Guillory (1-1, 3.70) vs. Kingsport Mets, 6:00 PM Central time. Two Mets runs in the bottom of the first proved to be all they needed to knock off Noel De Jesus and the Cardinals, 2-1. De Jesus was charged with a tough loss on Monday, after tossing seven innings on six hits, no walks and five strikeouts. The deciding score was unearned due a throwing error by first baseman Dariel Gomez. With the loss, De Jesus’ record dropped to 1-1. 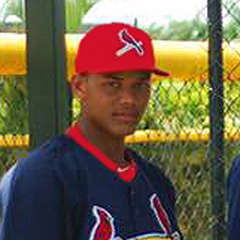 On the offensive side, second baseman Luis Flores had two base hits, stole two bases, and scored the only run of the day for the Cardinals. Flores was driven in by designated hitter Andres Luna. Center fielder Terry Fuller wore the collar, hitless in three at-bats with three strikeouts, dropping his season average to .211. Tuesday’s game: TBA vs. GCL Nationals, 11:00 AM Central time. The Angels scored two eighth-inning runs to come from behind and knock off the Cardinals, 3-2. Starter Jose Moreno turned in five innings of one-run ball. Next was two scoreless frames from reliever Leonardo Taveras, before Rodard Avelino allowed the Angels to take the lead. Avelino suffered his first loss of the season. Shortstop Raffy Ozuna knocked in one of the Cardinals’ runs, going 2-for-3 with a triple. Right fielder Luis Montano and first baseman Freddy DeJesus doubled. The 3-4 Wednesday across the St. Louis Cardinals minor league system included doubleheader splits for State College and Dominican Summer League Cards. In the former, third baseman Evan Mendoza had a big night. DSL right-hander Diego Cordero fired six scoreless innings. Results from games played Wednesday, August 2. The Redbirds were off Wednesday and continue their roadtrip with a stop in Tacoma, Washington, to take on the Rainiers. Kevin Herget (3-1, 3.86) will take the hill for Memphis in Thursday’s 9:05 PM Central time start. The Cardinals dropped a heartbreaker on Wednesday night in Tulsa, with the Drillers walking off with a 3-2 win in 11 innings. Springfield sent Sandy Alcantara to the mound to start, and he pitched well, with 6 1/3 innings of two-run (one earned) ball. Corey Littrell followed with 1 2/3 scoreless frames, and Rowan Wick added scoreless ninth and 10th innings. Landon Beck surrendered the game-winning run in the bottom of 11th, after loading the bases with one out. In his return from the DL, second baseman Eliezer Alvarez forced extra innings with his two-out, game-tying homer in the top of the ninth. Shortstop Tommy Edman drove in the Cardinals’ other run with a single in the seventh. Despite 10 total hits, Springfield went 1-for-12 with runners in scoring position and stranded eight. Thursday’s game: Chris Ellis (2-6, 4.18) vs. Northwest Arkansas Naturals, 7:10 PM Central time. The Cardinals were off Wednesday and return home Thursday to host the Clearwater Threshers. Palm Beach’s starter has not been announced for the 5:30 PM Central time game. A rough Wednesday night on the mound and at the plate resulted in a 7-1 loss for the Chiefs in Beloit. 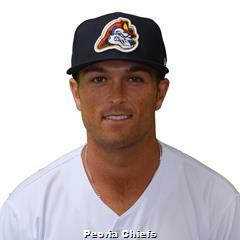 Chiefs starter Austin Warner allowed four runs on nine hits in 4 2/3 innings, leading to his second loss of the season. Reliever Bryan Dobzanski allowed three runs in the sixth before Leland Tilley pitched 2 1/3 scoreless innings to round out the game. Peoria couldn’t respond with the bats, however. 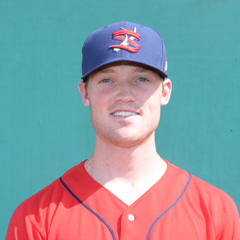 The Chiefs managed just five base hits, including two from catcher Brian O’Keefe, who drove in the club’s only run. Peoria hitters combined to strike out 11 times. Thursday’s game: Anthony Shew (0-0, 4.30) at Beloit Snappers, 7:00 PM Central time. With the regularly scheduled game shortened to seven innings, the Spikes got to work, scoring in the first and third before putting the game away with two in the final frame. Reigning NYPL Player of the Week, third baseman Evan Mendoza, finished a triple short of a cycle, including a solo home run. Yariel Gonzalez and Dennis Ortega added RBI singles. Andrew Summerville tossed five scoreless innings for the win. Summerville allowed two hits and four walks while striking out four batters. Spencer Trayner collected the final two outs for his third save. It came right down to the wire, but the Spikes’ three errors helped the Black Bears score just enough to knock them out, 6-5, in the seven inning make-up of the July 22 rainout. Spikes spot starter Steven Farinaro was on the mound for five runs over 4 2/3 innings, with only two scored as earned. With shaky defense behind him, Farinaro took his first loss of the season to even his record at 1-1. The Spikes three- and four-hole batters, Mendoza and designated hitter Ricardo Bautista, did their parts. Mendoza went 2-for-3, driving in two and scoring a run, while Bautista went 2-for-4 with two runs batted in. Thursday’s game: Paul Balestrieri (1-1, 4.56) at West Virginia Black Bears, 6:05 PM Central time. The Cardinals were off Wednesday and welcome the Princeton Rays to town on Thursday. 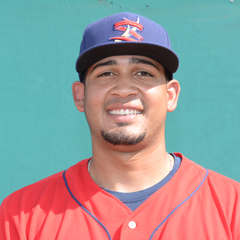 Edwar Ramirez (1-7, 7.34) will start the game for Johnson City at 6:00 PM Central time. With solid performances from the pitching and in the batter’s box, the Cardinals enjoyed a 7-2 win over the Mets on Wednesday. Cardinals starter Winston Nicacio twirled six innings of three-hit ball, allowing two runs – both unearned. 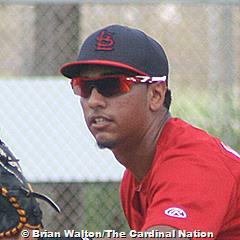 Nicacio is now 3-1 with a 2.79 earned run average in six games (five starts) with the GCL Cardinals. The bullpen shut the Mets down, as relievers Enrique Perez, Jim Voyles, and Kevin Hamann each tossed a scoreless inning to close out the win. The Cardinals generated much of their run support via the long ball, with three homers. Third baseman Elehuris Montero hit his third home run of the season, while first baseman Dariel Gomez and right fielder Brian Sanchez each launched their first of 2017. Left fielder Donivan Williams went 1-for-2 with a double and two runs scored. Thursday’s game: TBA at GCL Nationals, 11:00 AM Central time. The Cardinals carried a 5-2 lead into the fifth, but yielded seven runs in the final three frames to absorb a loss in the first game of a twin bill. Handed a lead after starter Wilfredo Pereira went four innings, reliever Allinson Benitez had a nightmare of a fifth, allowing four runs despite just one hit. Between them, Rodard Avelino and Leonardo Taveras yielded three more for the winning edge. First baseman Freddy DeJesus homered and scored twice. Shortstop Luis Montano tripled, plating three and scored. 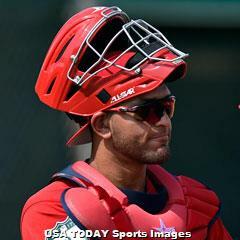 Backed by six shutout innings from Diego Cordero, the Cardinals took it to the Phillies on Wednesday by a 6-0 final score in the second seven-inning contest, the make-up of the postponed July 17 game. Cordero, who improved to 2-4, whiffed five batters and allowed four hits over his six scoreless frames. The 19-year-old Cordero boasts a 35:10 strikeout-to-walk ratio across 51 innings (10 games – eight starts) this year. Cardinals right fielder William Jimenez ripped two doubles, driving in as many runs. The two-base hits were his 10th and 11th of the season. Left fielder Alexander Samuel had an RBI double, and the Cardinals combined to go 6-for-11 with runners in scoring position. The high-flying Memphis Redbirds scored 11 times on 23 hits, making it difficult to pinpoint one hitter, but starting pitcher Jack Flaherty’s performance stood out. The St. Louis Cardinals system went 5-3. Results from games played Monday, July 31. 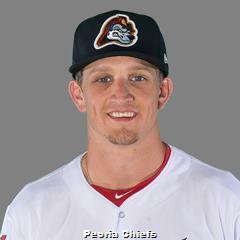 The Redbirds pounded out 23 hits in their 11-3 defeat of the Reno Aces on Monday night. Noteworthy performances can be found up and down the Memphis batting order, with every player recording at least one hit, including the pitcher. In fact, only one starter – shortstop Aledmys Diaz, who went 1-for-6 with an RBI single – did not have at least two hits. 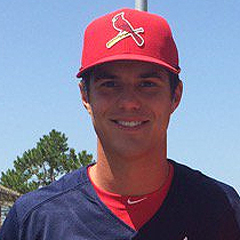 Redbirds center fielder Tyler O’Neill had three hits, including a two-run homer, an RBI double, and an RBI single. Third baseman Alex Mejia had four hits – all singles – and scored twice. Catcher Alberto Rosario went 3-for-5 with a double and two runs batted in. 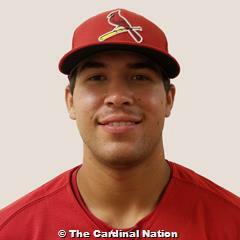 Although it was a night of great offense, Redbirds starting pitcher Jack Flaherty takes Player of the Day honors. Flaherty, now 3-1 in four Triple-A decisions, could have easily let the overload of run support affect his pitching. Instead, Flaherty held the Aces in check, allowing three runs on five hits in 6 2/3 innings to go with seven strikeouts. Flaherty got in on the offensive fun, too, with pair of singles in four trips to the dish. 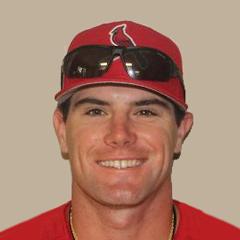 Flaherty owns a 3.21 earned run average in 53 1/3 innings (10 starts) for the Redbirds. Tuesday’s game: Matt Pearce (1-0, 3.00) at Reno Aces, 9:05 PM Central time. A run in the second, two in the fourth, five in the fifth, one in the sixth, and three in the eighth added up to 12 in Monday’s game for the Drillers, who enjoyed a 12-1 home win over the Cardinals. Springfield starter Zac Gallen, now 4-3 with the loss, allowed three runs (two earned) in his four-inning outing before the bullpen was bombed. Trey Nielsen was drilled by Tulsa for four home runs in the fifth inning, including back-to-back-to-back long balls to lead off the frame for the Drillers. Pedro Echemendia (another solo homer) and Landon Beck (three scores) also yielded runs. First baseman John Nogowski drove in the only run for the Cardinals with a two-out, RBI double in the sixth. Catcher Andrew Knizner went 2-for-3 with a double, and second baseman Darren Seferina scored. Tuesday’s game: Ryan Helsley (league debut) at Tulsa Drillers, 7:05 PM Central time. Although the pitching staff was very solid, the Cardinals could muster only one run and fell in the first game of Monday’s doubleheader, 2-1, in 10 innings to the Marauders. Cardinals starter Mike O’Reilly allowed nine hits and walked three batters over six innings, but the right-hander limited Bradenton to just one run. O’Reilly was supported by second baseman Luke Dykstra’s RBI single, but the Palm Beach bats couldn’t provide any more for the pitchers to work with. Estarlin Arias turned in two scoreless innings of relief. In the 10th, Hector Mendoza’s second inning of work, the Marauders scored the walkoff run with two outs. After falling in 10 innings in the first game, Palm Beach came back to beat the Marauders in the night-cap, 3-1. It was the makeup for Sunday’s rainout. Ramon Santos picked up the win, his second in four decisions with Palm Beach. Santos allowed one run (unearned) over five innings before reliever Eric Carter closed out the game with two scoreless innings. Carter picked up his first save since his promotion from Peoria. Third baseman Leobaldo Pina blasted his fourth homer of the year and scored two runs. Second baseman Andy Young and shortstop Jose Martinez each plated a run. Martinez and right fielder Thomas Spitz doubled, accounting for the Cardinals’ two extra-base hits. Tuesday’s game: Jake Woodford (5-6, 3.36) at Bradenton Marauders, 5:30 PM Central time. With quality outing from their starter and two timely home runs, the Chiefs took Monday’s contest against the Timber Rattlers by a 4-3 score. 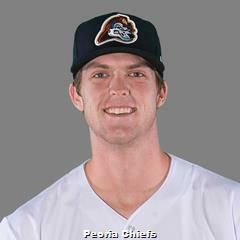 In his Peoria debut, Sam Tewes twirled seven quality innings, allowing three runs and striking out four batters on his way to a win. In 12 appearances this season – seven with State College, four with Palm Beach, and one with Peoria – Tewes is 4-8 with a 3.58 earned run average and a 42:11 strikeout-to-walk ratio. The Chiefs scored three runs in the bottom of the second inning, with the highlight third baseman Danny Hudzina’s two-run homer. After the Timber Rattlers plated three of their own over the fifth and sixth, Chiefs designated hitter Vince Jackson put Peoria ahead with his eighth long ball of the season, a solo shot. Tuesday’s game: Frederis Parra (2-3, 2.68) vs. Wisconsin Timber Rattlers, 7:00 PM Central time. The Spikes put up nine unanswered runs to defeat the Doubledays on Monday, 9-2. Making his State College debut, starter Johan Oviedo went 5 2/3 innings, allowing two runs and whiffing eight batters to earn the victory. 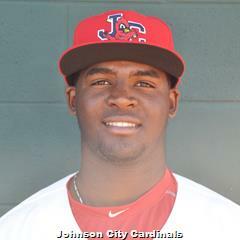 Oviedo was 2-1 with 31 strikeouts in 27 2/3 innings with the Johnson City Cardinals this year prior to joining the Spikes. Spikes left fielder Bryce Denton helped lead the way with three hits, including a two-run home run in the seventh. Shortstop Edwin Figuera went 3-for-5 with two runs batted in, and catcher Dennis Ortega had three singles and scored twice. Tuesday’s game: Jonathon Mulford (2-3, 4.13) vs. Auburn Doubledays, 11:00 PM Central time. A rough night in the field and failure to produce timely hits resulted in a 7-0 loss for the Cardinals to the Yankees on Monday. The Cardinals committed five errors, including three by shortstop Delvin Perez, which contributed to the Yankees’ seven runs. Four of the runs were unearned, including the only tally charged to starter Evan Guillory. Guillory, the tough-luck loser, dropped to 1-1, despite turning in five innings with no earned runs allowed. Johnson City had few chances, going 0-for-4 with runners in scoring position and stranding six runners. Catcher Julio Rodriguez was the only Cardinal starter who did not strike out. As a team, the Cardinals fanned 14 times. Center fielder Wadye Ynfante was punched out in all three at-bats, while Stanley Espinal, Brady Whalen, Jonathan Rivera, and Carlos Rodriguez each whiffed twice. Tuesday’s game: Jacob Schlesener (1-1, 2.33) at Pulaski Yankees, 6:00 PM Central time. The GCL Cardinals-GCL Astros game on Monday was postponed due to rain. The Cardinals are off Tuesday and will resume play on Wednesday, when they host the GCL Mets at 11:00 AM Central time. The Mets put up three runs in the seventh, but William Jimenez and the Cardinals responded with two in the top of the eighth inning to squeeze out a 6-5 win over Mets on Monday. As a pinch-hitter in the top of the eighth, with the Cardinals trailing, 4-6, Jimenez plated the tying and go-ahead runs with his third triple of the season. The Cardinals pounded out 14 hits on the day and had a pair of four-hit days, from second baseman Franklin Soto and shortstop Raffy Ozuna. Third baseman Francisco Hernandez scored twice, and catcher Ivan Herrera had a double and a run batted in. Cardinals starter Jose Moreno was very dependable, tossing six innings of two-run ball with a half-dozen punchouts. Moreno did not factor in the final decision, however. Instead, Jesus Cruz picked up the win after giving the Cardinals three scoreless innings. Cruz improved to 2-0. Tuesday’s game: TBA vs. DSL Mets1, 9:30 AM Central time. On Wednesday, the St. Louis Cardinals system went 2-5. Player of the Day Patrick Wisdom homered and hit a walkoff double in the 13th inning for Memphis’ 22nd win in their last 26 games. On Monday, the St. Louis Cardinals system went 5-3. 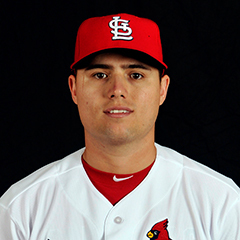 Player of the Day Aledmys Diaz went 2-for-4 including a two-run home run in Memphis’ 20th win in their last 24 games. Results from games played Monday, July 24. Behind seven innings from John Gant and offensive production from the middle infielders, the Redbirds improved to 66-35, knocking off the 51s by a 6-4 final score. Gant, earning just his second win to pair with five losses, allowed four runs on nine hits, but with no walks and two double plays behind him, the starter managed to limit the damage. The Redbirds scored their six runs early and were done scoring by the end of the second inning. With a runner on and two outs in the first, shortstop Aledmys Diaz, our Player of the Day, hit a two-run homer, his second long ball with Memphis this year. Second baseman Alex Mejia had two hits in three at-bats, driving in a pair. The newest Redbird, left fielder Tyler O’Neill, went 0-for-3 but drove in one of the team’s half-dozen runs with a sacrifice fly. Tuesday’s game: Luke Weaver (9-1, 1.91) vs. Salt Lake Bees, 7:05 PM Central time. The Cardinals couldn’t recover from starter Chris Ellis’s early struggles and fell to the Drillers on Monday by a 6-4 score. Ellis was smacked around for nine hits over six innings, allowing four runs. The right-hander fell to 2-5 with the loss, but the game’s outcome could have been a lot different if the Springfield bats had taken advantage of the Drillers’ rough night in the field. Tulsa committed four errors, but the Cardinals combined to go just 1-for-16 with runners in scoring position and stranded 13 runners on base. Left fielder Anthony Garcia went 0-for-5 but was credited with two runs batted in. Right fielder Magneuris Sierra had two hits and a walk, driving in and scoring a run. Center fielder Oscar Mercado went hitless, but reached via an error and a walk and came around to score twice. Tuesday’s game: Austin Gomber (4-7, 4.55) vs. Tulsa Drillers, 6:30 PM Central time. A two-out, three-run rally in the bottom of eighth inning lifted the Cardinals to a 3-0 win over the Stone Crabs. Palm Beach center fielder Shane Billings started it with a two-out double. Right fielder Thomas Spitz drew a walk, and first baseman Chris Chinea cashed in with a single up the middle to break the scoreless tie. Third baseman Danny Diekroeger followed with a two-run double to deep center field, plating Chinea and Spitz to put Palm Beach up by three. 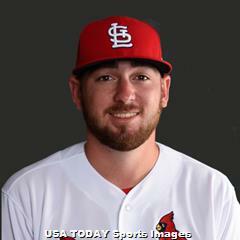 Cardinals starter Connor Jones lasted 4 2/3 scoreless innings before Ian McKinney twirled three one-hit frames through two outs in the eighth. From there, Ross Vance entered and recorded the final four outs of the night. Vance picked up his second win as a result of the Palm Beach rally. Tuesday’s game: Mike O’Reilly (1-0, 2.25) at Tampa Yankees, 6:00 PM Central time. Six runs across the final two innings led the Chiefs to a 7-4 win on the road against the Hot Rods. Evan Kruczynski turned in a respectable start, going 5 2/3 innings and allowing three runs. Reliever Dewin Perez allowed a run over the next 1 1/3 innings before Yeison Medina fired two scoreless to wrap up the game. With the Chiefs scoring their runs late, Medina was the pitcher of record. The 24-year-old improved to 3-0 on the year. Chiefs third baseman Danny Hudzina had four hits in five trips to the plate, doubling for the ninth time this season and driving in a pair of runs. Catcher Ryan McCarvel had a great evening in the batter’s box, hitting his 16th double and 13th home run of the season to plate three runs. The Chiefs are off on Tuesday and will pack back up Wednesday at home, as they will host the Cedar Rapids Kernels at 7:00 PM Central time. 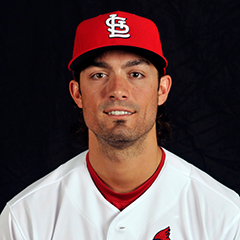 Peoria’s starting pitcher will be Frederis Parra (1-3, 2.91). The Spikes couldn’t overcome a rocky start from Daniel Castano and dropped Monday’s contest, 5-1, to the Scrappers. Castano, who was charged with his first loss in seven decisions, was roughed up for four runs – all earned – on 11 hits in 4 2/3 innings. The Spikes’ bullpen followed with 4 1/3 innings of one-run ball, but the bats couldn’t come up with enough to recover. Catcher Joshua Lopez went 1-for-4 with an RBI single in the ninth, the only run of the night for State College. Third baseman Evan Mendoza had three hits, including a double and a triple to finish a home run shy of the cycle. Mendoza scored on Lopez’s RBI single. Tuesday’s game: Sam Tewes (2-3, 4.11) vs. Mahoning Valley Scrappers, 6:05 PM Central time. The Cardinals put up four runs by the end of the fourth inning and held on to win by a 4-1 score. Cardinals starter Johan Oviedo picked up his second win, pitching five innings of one-run ball. Three relievers handed the Royals following Oviedo’s outing, including left-hander Jake Dahlberg, who punched out four Burlington batters over two scoreless frames. Half of Johnson City’s runs on Monday came on home runs. Catcher Julio Rodriguez hit his first long ball of the season in the second inning, and shortstop Irving Lopez launched his first career ball out of the yard in the third. The Cardinals added two more in the fourth, when third baseman Brady Whalen and left fielder Walker Robbins drove in their 19th and eighth runs of the year, respectively. Tuesday’s game: Franyel Casadilla (0-3, 8.71) vs. Burlington Royals, 6:00 PM Central time. The Cardinals put up a run in the top of the ninth inning, but Juan Evangelista’s two-run homer in the sixth remained just enough for the Nationals to hold on for a 2-1 win. Cardinals starter Noel De Jesus turned in four scoreless innings. In his professional debut, eighth-rounder Wilberto Rivera followed with a scoreless fifth before Alex Fagalde was tagged with the two-run shot in the sixth. For their one run of the day, Cardinals right fielder Sanel Rosendo picked up an RBI single. Second baseman Eliezer Alvarez doubled, one of his two hits, for the Cardinals’ lone extra-base hit. Tuesday’s games: TBA vs. GCL Marlins, 11:00 AM Central time. The Cardinals and Marlins will continue a suspended game from last Thursday before beginning the originally scheduled contest. It took 10 innings, but the Cardinals were able to grind out a 6-5 victory over the Nationals on Monday afternoon. The Nationals jumped ahead, 5-4, in the top of the 10th inning, but they could not hold on in the bottom half. With the bases full, one down, and the game knotted at five – after William Jimenez scored on an error – left fielder Diomedes Del Rio drove in the game-winning run with a sacrifice fly. Center fielder Carlos Soler had two base hits in five at-bats, first baseman Cristhian Longa walked twice and scored, and third baseman Pablo Gomez and designated hitter Victor Garcia both doubled. Starter Jose Moreno lasted five innings, surrendering just one run despite walking four batters. Sloppy defense — to the tune of five errors — allowed the Nationals to get back in the game following Moreno’s departure. With Cardinals relievers Cristoffer Zapata and Oneiver Diaz on the mound, the Nationals scored three times across the sixth and seventh innings. The Cardinals kept up with the Nationals, nonetheless, and ultimately came out on top. Tuesday’s game: TBA at DSL Nationals, 9:30 AM Central time. Results from games played Wednesday, July 19. The Redbirds slowly chipped away, but the Dodgers’ four runs absorbed the efforts, as Memphis came up short in Oklahoma City, 4-3, on Wednesday. 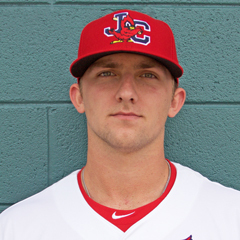 Redbirds starter John Gant, who fell to 1-5 with the loss, was charged with all four runs through 5 1/3 innings. New reliever Mike Mayers recorded five outs to pitch the Redbirds through the seventh, and rehabbing lefty Zach Duke pitched the bottom of the eighth, recording his sixth strikeout in as many innings with Memphis. Catcher Carson Kelly, our Player of the Day, had another big night at the dish, this time going 3-for-4 with a two-run home run, his 10th long ball of the season. First baseman Chad Huffman launched his sixth homer of the year in the top of the ninth, but the Redbirds’ comeback attempt fell short. Thursday’s game: Luke Weaver (8-1, 1.92) at Oklahoma City Dodgers, 7:05 PM Central time. The Cardinals manufactured eight unanswered runs from the fifth inning on to come back and beat the Naturals, 8-4. Highlighted by rehabbing left fielder Randal Grichuk’s two-out, three-run homer in the fifth, Springfield scored one more in the seventh, and three in the eighth to build up their 8-4 lead. Catcher Gabriel Lino had two runs batted in, including one on a bases-loaded plunking. Center fielder Oscar Mercado scored on a wild pitch, and shortstop Tommy Edman singled in right fielder Randy Arozarena in the eighth inning to cap off the night. It was a rough start for Cardinals right-hander Chris Ellis, who gave up four runs on seven hits and three walks over 5 1/3 innings pitched. The bullpen certainly did its part, though, to back up Ellis, as Corey Littrell, Tyler Bray, and Landon Beck fired 3 2/3 scoreless innings to close out the game. Bray was granted the win, his fifth, to improve to a 5-0 record. Thursday’s game: Austin Gomber (4-6, 4.19) at Arkansas Travelers, 7:10 PM Central time. Two runs over the first two innings were still standing come game’s end, as the Cardinals held on for a 2-1 win over the Tortugas in the first game of Wednesday’s doubleheader. Cardinals third baseman Danny Diekroeger singled in a run in the bottom of the first inning, and center fielder Lane Thomas drove in a run in the second. Palm Beach used five different pitchers to get the job done in the first game, starting with Jordan Hicks and his two scoreless innings thrown two days ago before the contest was suspended. Arturo Reyes, who picked up the win, came up next with two scoreless, and Ramon Santos allowed an unearned run in the seventh, as he muscled the biggest pitching load of the game with three innings. The Tortugas made the most of a shaky night by Cardinals’ pitching, defeating Palm Beach, 7-4, to earn a split of the doubleheader. Connor Jones started in the seven inning game, and allowed three runs on five hits and as many walks over four innings. Ross Vance followed Jones and was roughed up for three runs in just 2/3 of an inning, resulting in his second loss of the year. Third baseman Andy Young had two hits and two runs batted in, including his fourth homer since joining the Palm Beach squad a month ago. Center fielder Lane Thomas singled, drove in a run, and scored a run, and right fielder Blake Drake went 1-for-3 and plated a run. Thursday’s game: TBA vs. Daytona Tortugas, 5:30 PM Central time. With a five-run sixth inning, the Dragons knocked off the Chiefs on Wednesday, 8-5. The Dragons put up five runs against Chiefs starter Evan Kruczynski, who left after facing (and not retiring any) three batters in the sixth. Ronnie Williams was on the mound as Dayton continued to build up their lead. Williams was charged with his sixth loss in nine decisions and his first blown save. The Chiefs got most of their run production from the bottom half of the lineup. The six-through-nine spots in the order – third baseman Danny Hudzina, right fielder Dylan Carlson, left fielder Matt Fiedler, center fielder Mick Fennell – went a combined 5-for-14 with two doubles, four runs scored, and two runs batted in. First baseman Ryan McCarvel had the other RBI of the night for Peoria, which made the most of two Dragons fielding blunders. Thursday’s game: Frederis Parra (1-3, 2.84) at Dayton Dragons, 6:00 PM Central time. The Crosscutters put a stop to potential late-inning drama, scoring seven runs over the final two innings to defeat the Spikes, 11-1. Spikes starter Sam Tewes took the loss, his third of the year. Tewes lasted 5 2/3 innings and allowed four runs, only two of them earned, as State College committed two errors behind him. Relievers Steven Farinaro, Robbie Gordon, and Robert Calvano combined to surrender seven runs over the eighth and ninth innings. First baseman Yariel Gonzalez went 2-for-4 with the lone run batted in on a night when the club went 1-for-6 with runners in scoring position and left eight runners on base. Left fielder Bryce Denton doubled and scored on Gonzalez’ RBI single. Thursday’s game: Jonathon Mulford (1-2, 4.76) at West Virginia Black Bears, 6:05 PM Central time. The Cardinals needed every one of their nine runs on Wednesday to put away the Royals by a 9-8 final in Burlington. Johnson City put up a five spot in the top of the first inning, followed by two in the second, one in the third, and the ninth and final run of the night in the seventh. Center fielder Chase Pinder and left fielder Wadye Ynfante hit back-to-back home runs in the first. Right fielder Carlos Talavera and designated hitter Irving Lopez were each credited with a run batted in, drawing a walk and getting hit by a pitch, respectively, with the bases loaded. Third baseman Brady Whalen got in on the fun later, as he hit a two-run homer and drove in three runs. Unfortunately for the Cardinals, their offensive outburst was shadowed by the Royals, who put up four runs in the first, two in the second, and two more in the fourth to keep the game close. Cardinals starter Johan Oviedo threw 88 pitches as he battled through five innings, allowing the eight runs – all earned – on as many hits and two walks. Will Changarotty and Fabian Blanco combined for four hitless innings of relief, as Changarotty earned his second win and Blanco his second save. In the second, third baseman Brady Whalen hit a two-run homer, his first two runs batted in. Whalen singled in the go-ahead run in the top of the seventh. Thursday’s game: Franyel Casadilla (0-2, 8.04) at Burlington Royals, 6:00 PM Central time. A quality start from Winston Nicacio backed the Cardinals in their 4-2 victory over the Nationals. Nicacio, recording his second win in three decisions, allowed one run on three hits over six solid innings with as many punchouts. Noel De Jesus followed with 2 2/3 innings after Nicacio, and Kevin Hamann recorded the final out of the day. Cardinals right fielder Andres Luna went 2-for-2, driving in two of the four total runs. Shortstop Delvin Perez had two hits and scored a run, center fielder Jonatan Machado had two hits, and third baseman Elehuris Montero had an RBI single and came around to score. Thursday’s game: TBA at GCL Marlins, 11:00 AM Central time. A rough outing for Cardinals pitching resulted in a 7-2 win for the Twins on Wednesday in the first game of a doubleheader. 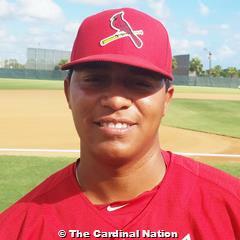 Cardinals hurler Allinson Benitez recorded just four outs in his start, allowing three runs in the second inning. Reliever Larimel surrendered four runs – all earned – over the next 3 1/3 innings. First baseman Cristhian Longa drove in the Cardinals’ pair of runs in the fifth inning with a two-run double, his fifth two-bagger of the season. Catcher Ivan Herrera and second baseman Franklin Soto also doubled. Soto and center fielder Carlos Soler scored on Longa’s double. The Cardinals couldn’t overcome the Twins’ three-run fourth inning and dropped the second game of Wednesday’s slate, 3-2, resulting in a doubleheader sweep for the Twins. Cardinals starter Wilfredo Pereira was on the mound for the three Twins runs and his day ended after he completed the fourth inning. Pereira sustained the loss, his fifth in six decisions this year. Reliever Jesus Cruz whiffed five over two frames in relief, but the offense couldn’t provide ample support. Left fielder William Jimenez and right fielder Victor Garcia each drove in a run, and second baseman Pablo Gomez and shortstop Franklin Soto scored those runs. The Cardinals had just four base hits, leaving three runners on. Thursday’s game: TBA at DSL Twins, 9:30 AM Central time. Results from games played Monday, July 17. 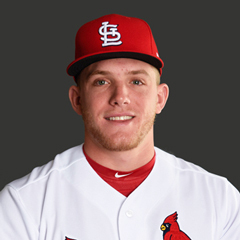 Redbirds third baseman Patrick Wisdom launched a timely, two-run homer late in the game to defeat the Oklahoma City Dodgers, 5-3. Wisdom, our Player of the Day, hit his 20th long ball of the season in the top of the ninth inning, erasing a 3-3 tie. Wisdom’s homer was one of three by the Redbirds on Monday, as big flies accounted for all five runs. Outfielder Harrison Bader launched a solo homer in the fifth, and shortstop Alex Mejia blasted a two-run bomb later in the same frame. Matt Pearce toed the rubber for the Redbirds, in just his third career Triple-A start and first of 2017. Pearce turned in a quality start – six innings with three runs allowed – but did not factor in the decision. With two scoreless innings, Kevin Herget picked up the win. Josh Lucas secured his seventh save. Tuesday’s game: Marco Gonzales (6-3, 2.60) at Oklahoma City Dodgers, 7:05 PM Central time. 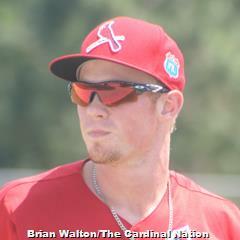 Backed by another strong outing from Dakota Hudson, the Cardinals defeated the Naturals by a 4-1 final score. Hudson allowed one run over 6 1/3 innings, improving to 8-4 and lowering his earned run average to 2.69 across 16 games and starts this season. Andrew Morales and Rowan Wick followed Hudson out of the Cardinals’ bullpen with 2 2/3 scoreless frames between them. Second baseman Darren Seferina helped lead the way offensively, going 3-for-5 with a double, an RBI, and two runs scored. Shortstop Tommy Edman went 3-for-4 with a run driven in, and first baseman John Nogowski doubled in a run as well. The Cardinals had a dozen hits and drew five walks, ultimately leaving 10 runners on base. 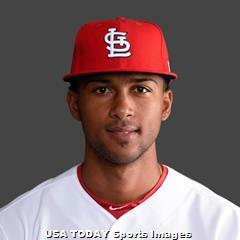 Tuesday’s game: Sandy Alcantara (4-5, 5.46) vs. Northwest Arkansas Naturals, 6:30 PM Central time. Due to wet grounds, the Lakeland Flying Tigers cancelled their Monday contest against the visiting Palm Beach Cardinals. Because it was the final meeting between the two, the game will not be rescheduled. The Cardinals will be back in action Tuesday at 5:30 PM Central time at Roger Dean Stadium, with Jordan Hicks (0-1, 5.40) taking the mound versus the Daytona Tortugas. It took a dozen innings, but the Chiefs pulled out a 2-1 win over the TinCaps in Monday’s matchup in Peoria. Chiefs starter Ian Oxnevad certainly did his part, holding the TinCaps to one run on two hits over seven innings. Peoria’s bullpen maintained Oxnevad’s sharpness, as Bryan Dobzanski and Keaton Siomkin each pitched two scoreless innings. 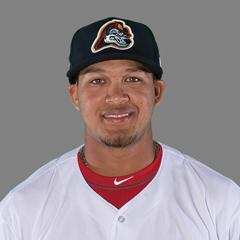 Dewin Perez, who twirled a scoreless 12th, was the pitcher of record when the Chiefs scored the game-winning run, and he picked up his second win. Peoria outfielder Vince Jackson hit his sixth homer of the season in the seventh inning to knot the score at one run, but from there, the scoreboard remained empty for five innings. Outfielder Mick Fennell was the hero, as he lined a bases-loaded single in the bottom of the 12th to push across the winning tally. The Chiefs are off Tuesday and will pick back up Wednesday on the road with the Dayton Dragons at 6:00 PM Central time. With rain in the area, the Spikes game at the Williamsport Crosscutters was postponed. The teams will play a doubleheader on Tuesday. The Spikes have not announced their starting pitcher for either seven-inning contest. The Mets took advantage of a shaky night for Cardinals hurlers, as Kingsport pummeled Johnson City, 9-2, on Monday. 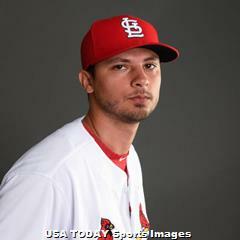 Cardinals starter Edwar Ramirez was charged with his fourth loss, allowing five runs in 3 1/3 innings. Jake Dahlberg yielded four more runs while recording five outs. Paul Salazar and Juan Alvarez kept the Mets off the board the rest of the way, but the damage was far too much for Johnson City to overcome. Johnson City second baseman J.D. Murders drove in their lone earned run of the night, as the Cardinals were aided by four Mets errors. The Cardinals failed to manufacture many runs though, as third baseman Brady Whalen and outfielder Walker Robbins scored the only two runs. Tuesday’s game: Alvaro Seijas (1-1, 6.75) vs. Burlington Royals, 6:00 PM Central time. The GCL Cardinals were off Monday and will pick back up Tuesday on the road against the GCL Mets. The game will start at 11:00 AM Central time. The Phillies’ five-run eighth paired with two earlier runs was enough to withstand five unanswered runs from the Cardinals, who fell by a 7-5 final. Cardinals starter Jose Moreno suffered the loss, his third loss in as many decisions. Moreno allowed two runs over 4 2/3 frames, and the Phillies piled on to their lead after Moreno exited. Reliever Oneiver Diaz was charged four runs in 1 1/3 innings, and Cristoffer Zapata yielded a run on three hits and a walk without recording an out. Cardinals all-star catcher Ivan Herrera doubled and plated a trio of runs, accounting for the only extra-base hit of the day for the team. Outfielder William Jimenez and second baseman Franklin Soto each drove in a run, but they proved to not be enough. Tuesday’s game: TBA at DSL Phillies Red, 9:30 AM Central time. Results from games played Wednesday, July 12. Two Redbirds appeared in Wednesday’s Triple-A All-Star Game, won by the PCL All-Stars, 6-4. Catcher Carson Kelly singled in his one at-bat and caught the first three innings. Reliever Ryan Sherriff recorded the first out of the ninth inning on a strikeout. Thursday’s game: Marco Gonzales (5-3, 2.56) vs. Round Rock Express, 7:05 PM Central time. The Travelers knocked out Cardinals starter Dakota Hudson with three runs in the fifth inning, as Arkansas went on to win Wednesday evening’s matchup, 5-2. Hudson lasted through two outs in the fifth inning, by which time the Travelers used three hits, two walks, and a passed ball to manufacture a trio of runs. Hudson took the loss and dropped to 7-4 on the year. The Travelers put up two more in the eighth against reliever Pedro Echemendia, further padding the lead. It was a quiet night for the Cardinals offensively, with the two runs scoring on a wild pitch and a bases-loaded double play. Right fielder Magneuris Sierra was responsible for two of the team’s six hits; first baseman John Nogowski and shortstop Tommy Edman each scored a run. Thursday’s game: Sandy Alcantara (3-5, 5.76) at Arkansas Travelers, 7:10 PM Central time. The Jupiter Hammerheads at Palm Beach Cardinals game on Wednesday in Jupiter, Florida, was suspended with two out in the bottom of the first inning. The Hammerheads had already plated two runs against starter Jake Woodford in their initial at-bats. This game will resume Thursday, before the regularly scheduled contest, starting at 5:30 PM Central time. Jordan Hicks is likely to make his Palm Beach debut. The Chiefs came back with a vengeance, with nine unanswered runs from the sixth inning on to down the Captains on Wednesday, 10-3. The Captains put up three runs against Ian Oxnevad in the top of the sixth, his final inning of the night. Oxnevad had just one strikeout, but – more importantly – he issued no walks and was able to work around nine Captains hits. From there, Ronnie Williams and Dewin Perez handled the pitching duties, and the Chiefs’ bats went to work. Shortstop Kramer Robertson had a remarkable evening at the dish, going 4-for-5 with two home runs, three runs batted in, and three runs scored. Designated hitter Ryan McCarvel had a home run of his own, and catcher Brian O’Keefe plated a pair. Thursday’s game: Evan Kruczynski (0-1, 6.00) vs. Lake County Captains, 8:00 PM Central time. The Spikes sounded off for three runs in the sixth and five more in the eighth to come back and defeat the ValleyCats, 10-4. A trio of 2017 Cardinals draftees led the offense. 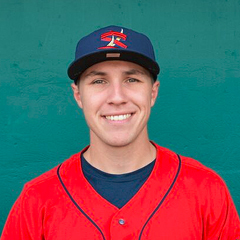 Second baseman and leadoff hitter Zach Kirtley went 2-for-4 with his first professional home run, two runs scored, and two runs batted in. Center fielder Scott Hurst, from the second spot of the batting order, tripled and drove in the first three runs of his career. Right fielder Brandon Benson got in on the fun, too, cranking his second home run to drive in a pair. The 10 runs were more than enough for State College starter Sam Tewes, who twirled seven innings of two run ball to improve his personal record to 2-2. Relievers Will Latcham and Robbie Gordon each followed with a scoreless frame to seal the victory. Thursday’s game: Daniel Castano (4-0, 1.24) at Tri-City ValleyCats, 6:00 PM Central time. The Cardinals mustered only two base hits in Wednesday’s 5-0 home loss to the Pirates. First baseman Luis Bandes and catcher Julio Rodriguez both singled, but that was not enough to give starter Edwar Ramirez much of a chance at a win. Ramirez tossed a quality start – 6 IP, 3 ER, 4 Ks – but with no offensive support, he took the loss. Ramirez is 1-3 in four starts for Johnson City this year. Thursday’s game: Alvaro Seijas (1-0, 4.40) vs. Bristol Pirates, 6:00 PM Central time. 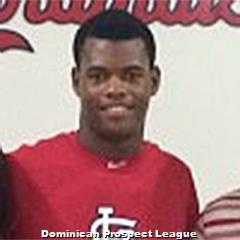 The GCL Cardinals were off Wednesday. They will resume play Thursday, with an 11:00 AM Central time contest vs. the GCL Mets. The Yankees scored eight unanswered runs over the last three innings, but the Cardinals maintained the last of their cushion to hold off the Yankees, 10-9. Catcher Joyser Garcia had a productive day in the box, going 3-for-5 with two doubles, two runs scored, and three runs batted in. Right fielder William Jimenez had a solid day as well, with three hits – including a triple – in five plate appearances, driving in three runs. On the whole, the Cardinals combined to go 7-for-18 with runners in scoring position, scoring 10, but leaving 11 more runners on base. Starter Wilfredo Pereira pitched 5 1/3 innings of one-run ball, picking up his first win in five decisions this season. The bullpen wasn’t as stellar, however, allowing nine runs while recording the final 11 outs. Leonardo Taveras walked three and allowed five runs in his two-thirds of an inning. Oneiver Diaz came in and cleaned things up for the Cardinals, picking up his second save of the year. Thursday’s game: TBA at DSL Mets, 9:30 AM Central time. Results from games played Monday, July 10. The Redbirds are off until Thursday, as the Triple-A All-Star Game is this Wednesday. The Redbirds will have two representatives in the contest against the International League: catcher Carson Kelly and pitcher Ryan Sherriff. 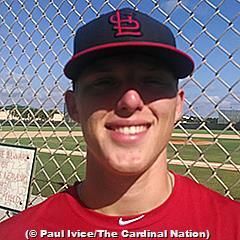 Luke Weaver was also voted onto the team before his promotion to St. Louis. Next game: On Thursday, the Redbirds will host the Round Rock Express at 7:05 PM Central time. The RoughRiders scored four unanswered runs late Monday evening to defeat the Cardinals, 7-4. Matt Pearce turned in a quality start for Springfield, allowing three runs over six solid frames. Corey Littrell surrendered the go ahead runs in the seventh inning, suffering his third blown save and his second loss. Frisco tacked on two more tallies in the eighth against Dailyn Martinez, and the Cardinals could not recover. Springfield’s four runs all came in the fourth inning, ironically – and catcher Gabriel Lino did most of the damage. Lino unloaded on his third long ball of the season, a three-run shot to left field. Cardinals third baseman Jacob Wilson went 2-for-4 with an RBI double, and second baseman Darren Seferina had a two hits and scored a run. Next game: The Cardinals are off Tuesday and will continue their schedule on Wednesday, in Little Rock, Arkansas with a date with the Travelers. Springfield has announced RHP Dakota Hudson (7-3, 2.63) as its starter for the 7:10 PM Central time game. The Miracle broke the scoreless tie with a run in the bottom of the eighth inning to knock off Palm Beach on Monday, 1-0. Starter Ryan Helsley took a no-hitter into the seventh and turned in 6 1/3 innings of scoreless ball. Reliever Jacob Evans surrendered the go-ahead run on a triple in the eighth. In total, Helsley and Evans combined to allow just the one run on two hits, with 11 strikeouts and four walks. On the offensive side, the Cardinals failed to get much of anything going. With five singles scattered over the nine innings, Palm Beach had just one at-bat with runners in scoring position and ultimately left five runners on base. Next game: The Cardinals are off Tuesday and will pick back up on Wednesday. The Cardinals will play host to the Jupiter Hammerheads at 5:30 PM Central time. Chiefs starter Mike O’Reilly was absolutely masterful on Monday. The 22-year-old, our Player of the Day, twirled a complete-game shutout to lead Peoria to a 3-0 victory over the Kernels. O’Reilly was perfect into the seventh until he allowed a lone hit – a leadoff double in that frame. The right-hander whiffed 12 to improve to 8-2 on the season and lower his earned run average to 1.56 in 80 2/3 innings. O’Reilly was supported by an inside-the-park homer from second baseman Stefan Trosclair in the first inning. Outfielder Mick Fennell drove in a run, before their third run came by way of a passed ball. First baseman Juan Yepez went 2-for-4, and catcher Brian O’Keefe doubled to account for Peoria’s only extra-base hit, outside of Trosclair’s big blast. Next game: The Chiefs are off Tuesday, with their next contest scheduled for Wednesday. Peoria will host the Lake County Captains at 7:00 PM Central Time. LH Ian Oxnevad (3-8, 4.11) is scheduled to take the ball for manager Chris Swauger. The Spikes were off Monday and will pick back up Tuesday on the road to face the Tri-County ValleyCats. The Spikes will send Anthony Shew (2-1, 2.08) to the hill for the 6:00 PM Central time start. In as nearly four-hour-long game that featured 30 hits, 11 different pitchers, 16 walks, and 19 strikeouts, the Twins squeaked by the Cardinals in 10 innings on Monday by a 13-2 final score. 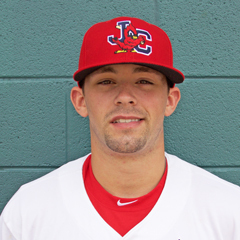 Jacob Schlesener started for Johnson City and allowed five runs over the first two innings – yet he left with a 6-5 lead, as the Cardinals put up four in the first and two more in the second. Six relievers followed, with Jake Walsh (2 2/3 innings) and Thomas St. Clair (1 2/3 innings) turning in the only scoreless outings. Juan Alvarez allowed the walk-off run. At the plate, it was certainly not a day to forget for the Cardinals. Second baseman Wood Myers went 4-for-6, shortstop Irving Lopez went 3-for-5 with three RBI, and first baseman Luis Bandes led the way with three hits – a single, a double, and a homer – and five runs driven in. Designated hitter Alexis (formerly known as Irving) Wilson had a rough day, as the only starting Cardinal to not record a hit – despite taking six at-bats. The Cardinals went 6-for-18 with runners in scoring position and left 11 runners on base. Next game: The Cardinals are off Tuesday before hosting the Bristol Pirates at 6:00 PM Central time Wednesday. Edwar Ramirez (1-2, 6.32) will start for Johnson City. A great day for the Cardinals’ pitching staff backed the team in its 6-1 win over the Marlins in Monday’s matchup. Starter Austin Warner allowed the lone run in four otherwise solid innings, during which he punched out six and walked no one. Four relievers combined to post zeroes over the final five innings, including Kevin Hamann, who struck out four across the eighth and ninth frames. Left fielder Michael Brdar notched his first double as a professional and plated two. Shortstop Taylor Bryant drove in a run and scored twice, and second baseman Moises Castillo had a 2-for-4 day with a run scored. Tuesday’s game: TBA at GCL Astros, 11:00 AM Central time. The Rockies hopped out to an early 2-0 lead and extended it to a 5-3 win over the Cardinals on Monday. Starter Jose Moreno allowed four runs over as many innings, but just two earned, as the Cardinals committed two errors. In the batter’s box, left fielder Luis Montano cranked the first long ball of his career, a solo blast. Catcher Ivan Herrera and center fielder Carlos Soler were each responsible for driving in a run, yet the three tallies came to no avail. Tuesday’s game: TBA vs. DSL Yankees, 9:30 AM Eastern time. Results from games played Wednesday, June 28. Behind another great start from Luke Weaver, the Redbirds easily defeated the Dodgers on Wednesday by a 7-2 score. Weaver, our Player of the Day, struck out six over six scoreless innings, lowering his earned run average in 11 starts to 1.93. Weaver was followed out of the bullpen by Trey Nielsen’s scoreless seventh, while Josh Lucas – despite allowing a pair of runs in the eighth – preserved Weaver’s seventh win in eight decisions and his save. First baseman Chad Huffman and center fielder Harrison Bader both hit two-run homers, their fifth and eighth of the season, respectively. Shortstop Wilfredo Tovar went 1-for-4 with two runs batted in, and pinch-hitter Rangel Ravelo came through with a run-scoring single. Thursday’s game: Marco Gonzales (3-3, 2.70) vs. Oklahoma City Dodgers, 7:05 PM Central time. 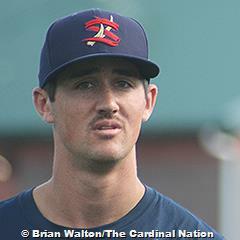 With the Texas League All-Star Game on Tuesday, the Springfield Cardinals were off Wednesday. They’ll pick back up Thursday on the road against the Midland RockHounds at 7:00 PM Central time. Austin Gomber (2-6, 4.57) will toe the rubber for the Cardinals. Four runs in the opening frame loomed large at game’s end, as the Cardinals took the first game of Wednesday’s doubleheader versus the Mets by a 5-2 final score. Starter Connor Jones allowed two runs (one earned) over 5 2/3 innings, picking up his fifth win of the season. Dailyn Martinez recorded the final four outs to pick up his second save. The Cardinals were aided by three defensive miscues from the Mets, as they needed just five hits to produce as many runs. Third baseman Darren Seferina went 1-for-2 with a triple, two walks, and two runs scored. Left fielder Randy Arozarena was credited with two runs batted in. 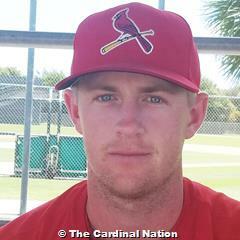 Cardinals center fielder Blake Drake’s defense deserves a mention. Although he did commit his first error of the season, Drake had two outfield assists, doubling a runner off second base and gunning one down at the plate. The Mets jumped out to an early 3-1 lead, but the Cardinals scored four unanswered runs to sweep Wednesday’s doubleheader in Port St. Lucie, 5-3. Starter Junior Fernandez allowed three runs over five innings, picking up his fourth win in seven decisions this season. Fernandez got the win because he was the pitcher of record in the sixth, when the Cardinals broke out with their four runs. The Cardinals left eight runners on base and went 0-for-5 with runners in scoring position. Almost needless to say, their four-run sixth happened a little unconventionally: Danny Diekroeger scored on a passed ball, Darren Seferina walked with the bases loaded, Blake Drake was hit by a pitch with the bases loaded, and Randy Arozarena walked with the bases still loaded. If you’re keeping track, that’s four runs scored on no hits. It was a rough night for St. Lucie’s hurlers to say the least. Thursday’s game: Ryan Helsley (7-2, 2.91) at St. Lucie Mets, 5:30 PM Central time. It was a quiet Wednesday night for the Chiefs, as they managed just three hits against Snappers pitching in the 3-0 loss. Starter Austin Sexton left in the second inning with forearm tightness that is not considered serious. Frederis Parra entered and pitched four innings of two-run ball. Parra took the loss, but certainly came up big for the Chiefs’ relief staff, which unexpectedly needed to cover eight innings. Max Almonte and Yeison Medina followed Parra, combining for one run over the game’s final four frames. In the batter’s box, seemingly nothing went positively for Peoria. Though they had just six baserunners in the game – three base hits, two walks, and one hit by pitch – chances to make hay in those opportunities were squandered by hitting into two, inning-ending double plays. 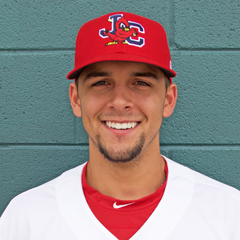 Thursday’s game: Juan Perez (1-0, 0.00) vs. Beloit Scrappers, 7:00 PM Central time. Fueled by four runs in the third inning, the Spikes and Anthony Shew’s near-quality start, the Spikes took Wednesday’s matchup with the Doubledays, 7-1. Third baseman Evan Mendoza and right fielder Ricardo Bautista both drove in two runs, with the production coming in different ways. For Bautista, who took an 0-for-4 final line in the box score, it was two well-placed RBI ground outs; for Mendoza, it was his three-hit performance that plated two. As for Shew, he allowed just one run over 5 2/3 innings, improving to 2-0 with a 0.84 earned run average in two outings for the Spikes in the early going. From the Spikes’ bullpen came scoreless ball from Colton Thomson, Will Latcham, and Spencer Trayner. Thursday’s game: TBA at Auburn Doubledays, 6:05 PM Central time. The Astros pushed across three runs from the sixth inning on, but the Cardinals managed to hold on for a 6-3 win. Franyel Casadilla twirled four scoreless innings in his start but did not factor in the game’s final decision. Reliever Jake Walsh picked up his first victory with a scoreless fifth inning. The Cardinals finished with Jake Dahlberg, Champ Rowland, and Jacob Patterson handling the final four innings of relief. Six of Johnson City’s 10 hits were doubles, including two off the bat of designated hitter Wood Myers. Right fielder Wadye Ynfante hit his third double of the season, while left fielder Carlos Talavera, shortstop Starlin Balbuena, and catcher Cameron Knight each lined their first two-baggers of the young campaign. Ynfante, Balbuena, Myers, Knight, and second baseman Irving Lopez were all credited win a run batted in, with the other scored by Ynfante on the back end of a double steal. Ynfante has three steals in four chances this season. Thursday’s game: Edwar Ramirez vs. Greenville Astros, 6:00 PM Central time. After getting out of the gates quickly, with three runs in the top of the first inning, the Cardinals’ bats remained rather dormant through the rest of the game. The Mets took advantage, knocking off the Cardinals, 5-4. Leandro Cedeno delivered the damage on offense. The first baseman smashed a three-run home run in first inning and hit his second of the day in the sixth, driving in all four Cardinals runs. Starter Junior Gonzalez surrendered three runs over four innings. Austin Warner allowed a run in his 2 2/3 innings, and C.J. Saylor allowed the go-ahead score in the seventh inning. Thursday’s game: TBA vs. GCL Nationals, 11:00 AM Central time. The Cardinals failed to get much going in Wednesday’s pitching duel with the Mets, dropping the close game by a 2-1 final score. Cardinals starter Wilfredo Pereira did his part in the pitching-rich affair, tossing five scoreless innings with just three hits and one base on balls allowed. The Mets mustered two runs against reliever Jose Geronimo, and they proved to be just enough to sneak a victory and stick Geronimo with his first loss of the year. In an overall quiet day at the plate for the Cardinals, right fielder Luis Montano went 1-for-3 with a double and a run scored. 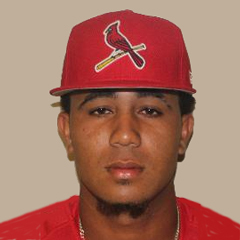 Left fielder Diomedes Del Rio tripled in three at-bats and drove in Montano to account for the lone Cardinals run. Thursday’s game: TBA at Phillies Red, 9:30 AM Central time. Join The Cardinal Nation for the most comprehensive coverage of the St. Louis Cardinals from the majors through the entire minor league system. Take advantage of our seven-day free trial. Results from games played Monday, June 26. Zac Gallen allowed three runs in his Triple-A debut but the offense could score just two in support, as the Redbirds fell to Oklahoma City at AutoZone Park on Monday evening. Promoted from Springfield after pitching most of the first two months at Palm Beach, Gallen gave up three runs over five innings to the Dodgers, who struck out eight times and drew zero walks against the 21-year-old right-hander. Gallen’s outing – which ultimately ended with a loss – was followed by four combined scoreless innings from Josh Zeid, Ryan Sherriff, and Miguel Socolovich. The Redbirds’ bats couldn’t do their part, however. Left fielder Nick Martini went 3-for-4 and drove in both Memphis’ runs. As a team, the Redbirds left seven runners on base and went just 1-for-8 with runners in scoring position. Tuesday’s game: Luke Weaver (6-1, 2.16) vs. Oklahoma City Storm Chasers, 7:05 PM Central time. The Springfield Cardinals will not play until Thursday, as Tuesday is the Texas League All-Star Game. Oscar Mercado, Anthony Garcia, Corey Baker, Matt Pearce, and Dakota Hudson will represent the Cardinals. The Palm Beach Cardinals were off Monday and will pick back up Tuesday. Connor Jones (4-4, 4.56) will take the mound in Port St. Lucie, Florida, against the Mets and their newest arrival, outfielder Tim Tebow. It took 12 innings, but the Snappers were finally able to sneak by the Chiefs on Monday with a 3-2 victory. Jordan Hicks pitched a strong start – 7 1/3 innings of two-run ball, whiffing seven along the way. He left the game tied at two, destined for a no-decision. Yeison Medina followed out of the bullpen and pitched scoreless ball through the ninth inning. With the score still knotted, Ronnie Williams was called upon for long relief and performed well, but finally yielded a run in his third inning of work. The Chiefs’ bats could not bail him out though, and Williams dropped to 2-4 on the season. Chiefs left fielder Vince Jackson led his team offensively, going 2-for-6 with a home run. Shortstop Jose Martinez went 1-for-4 with a double and a run batted in, and center fielder Nick Plummer went 1-for-4 with a double and a run scored. Over the 12 innings, 23 of the Chiefs’ 36 outs occurred via the strikeout with all nine starters having at least two Ks each. The team managed just five hits on the evening. 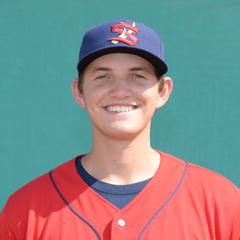 Tuesday’s game: Evan Kruczynski (0-0, 0.00) vs. Beloit Snappers, 11:00 AM Central time. The Spikes failed to get much of anything going offensively and fell to the Scrappers, 5-1, in Monday night’s home matchup. Jonathon Mulford started for the Spikes and allowed two runs on five hits and three walks over four innings, dropping to 0-2 on the season. Anthony Ciavarella followed out of the bullpen and gave up three runs between the fifth and sixth frames, accounting for the Scrappers’ handful of runs on the night. 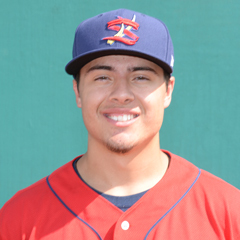 Third baseman Evan Mendoza drove in the only run of the night for the Spikes, who stranded eight men on the bases. Going just 1-for-9 with runners in scoring position, the Spikes failed to take advantage of four bases on balls surrendered by the Scrappers’ staff. The Spikes are off Tuesday and will host the Auburn Doubledays on Wednesday. The State College starter has not been announced. In his season debut, Johan Oviedo tossed six scoreless innings as the Cardinals defeated the Mets on Monday by a 2-1 final score. Oviedo, our Player of the Day, whiffed seven over his six shutout frames, picking up his first professional win. Fabian Blanco followed Oviedo’s six scoreless with three innings of one-run ball, preserving Oviedo’s win and generating his first save. Johnson City got both of their runs in the sixth inning with a sacrifice fly from third baseman Brady Whalen and an RBI single off the bat of first baseman Carlos Rodriguez. Center fielder Wadye Ynfante doubled to account for the Cardinals’ lone extra-base hit of the contest. 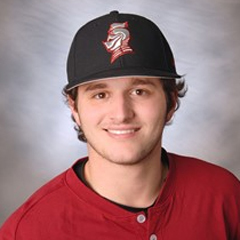 Tuesday’s game: Jacob Schlesener (0-0, 0.00) at Kingsport Mets, 10:00 AM Central time. The defending champion Cardinals dropped their season opener at home to the Astros on Monday afternoon. Over 4 2/3 innings, starter Winston Nicacio allowed six runs, four earned. Three errors were committed by the Cards, including a throwing error by Nicacio. Relievers Enrique Perez and Brian Pirela yielded two more runs each in the seventh and eighth, respectively, as the score got out of hand. The Cards offense established a brief 2-1 lead in the second on Sanel Rosendo’s two-run homer, his first of two long balls. The right fielder plated three on the day. Third baseman Elehuris Montero contributed two doubles, a walk and an RBI. The Cards had chances, but could not get the key hits, as the team went a collective 2-for-12 with runners in scoring position and stranded eight. The Cardinals pounded out 21 hits and took advantage of four errors to pummel the Yankees on Monday, 18-3. Starter Jose Moreno allowed one run and struck out four over four innings. Hector Soto followed with three scoreless innings to pick up his second win on the young season. The Cardinals’ pitchers received plenty of run support. Center fielder Carlos Soler hit for the cycle, driving in six runs and scoring four. Second baseman Franklin Soto went 5-for-7 with a double and two runs batted in, and first baseman Cristhian Longa doubled, homered, scored three times, and drove in three as well. Right fielder William Jimenez drew four walks. Tuesday’s game: TBA at DSL Mets, 9:30 AM Central time.